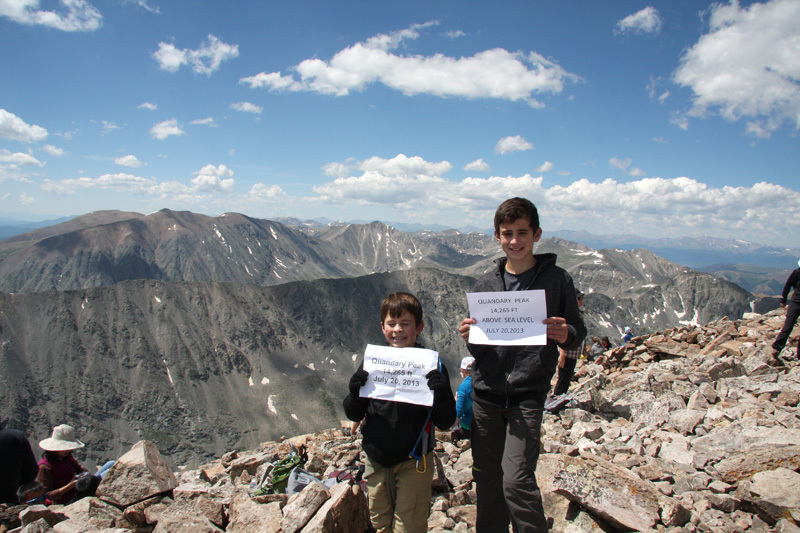 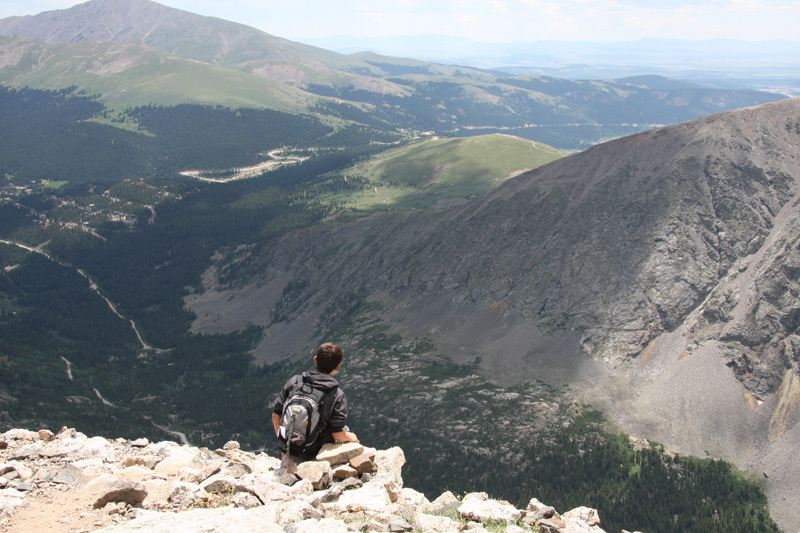 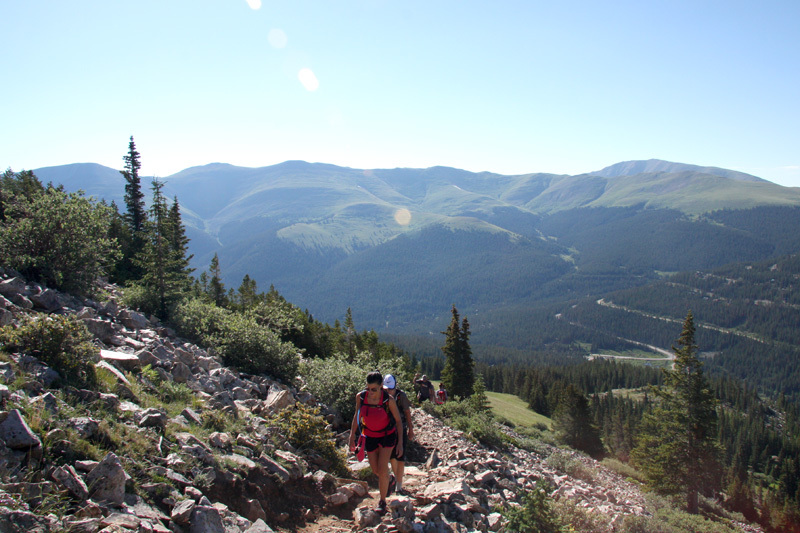 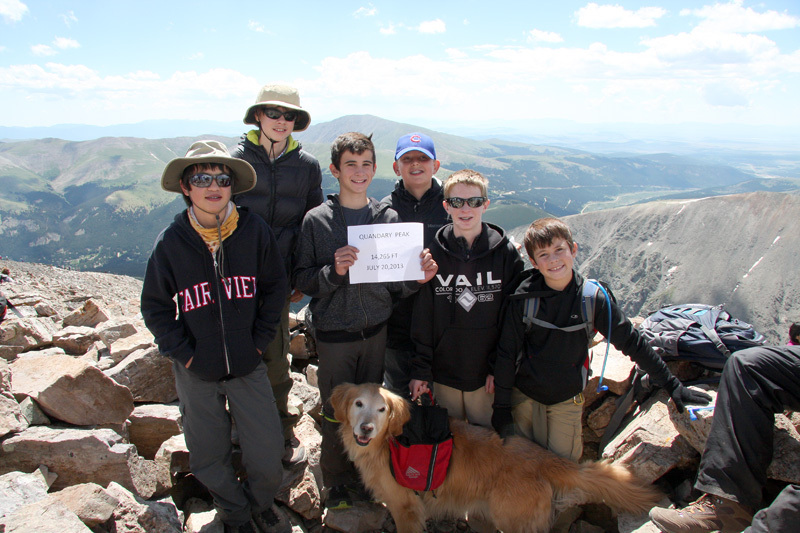 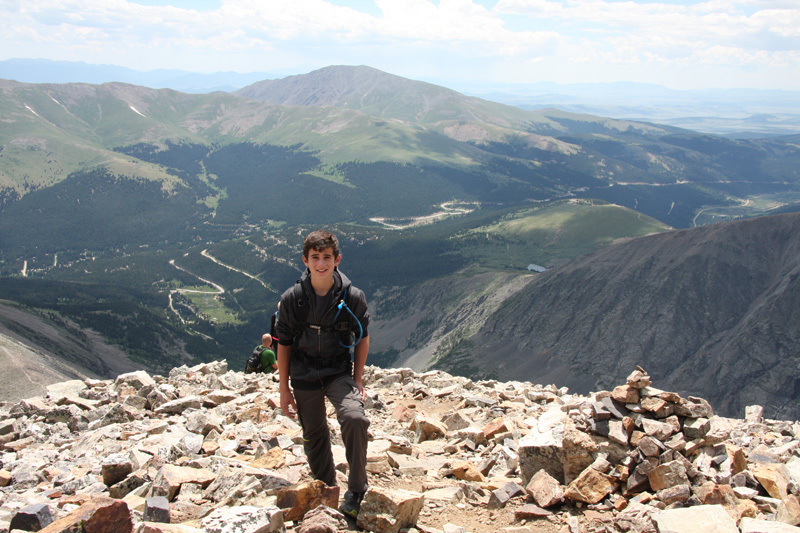 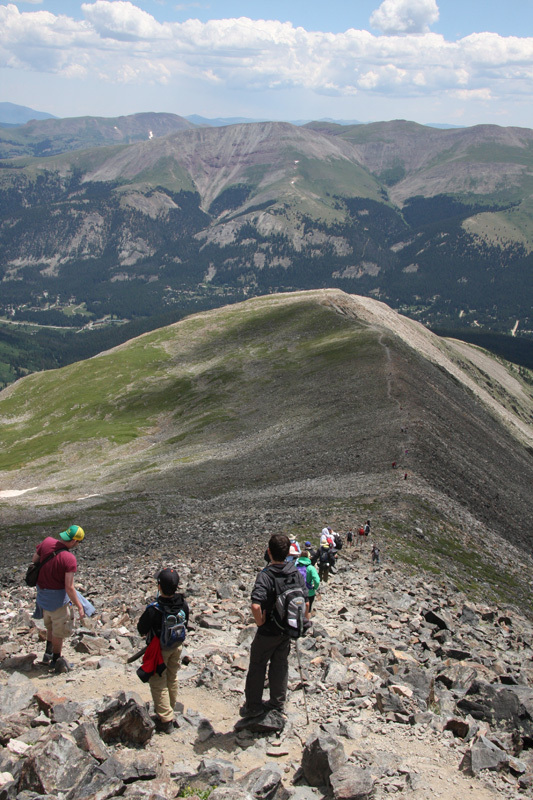 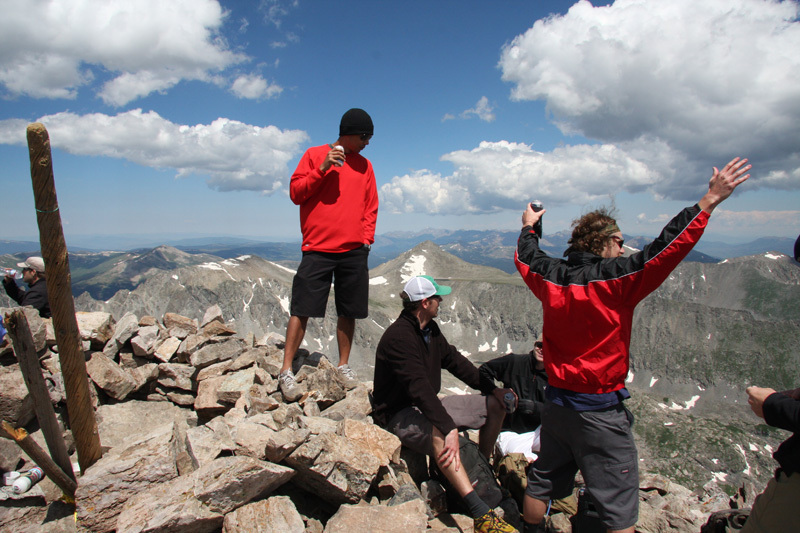 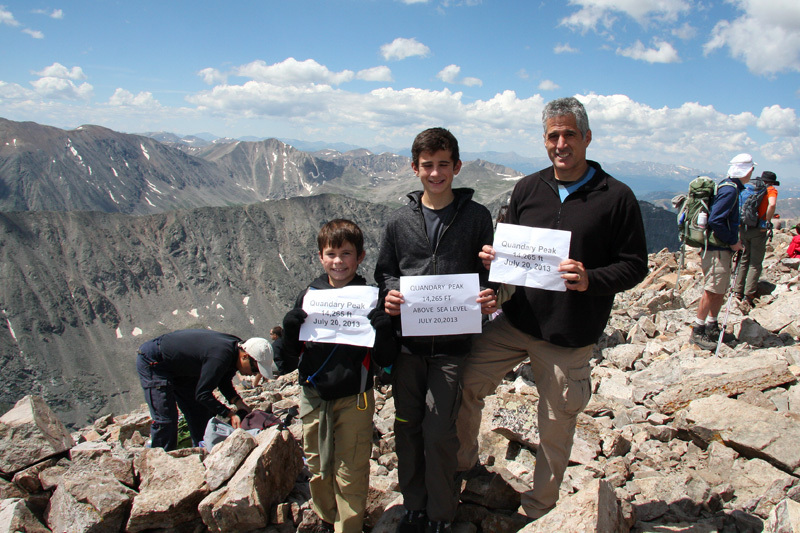 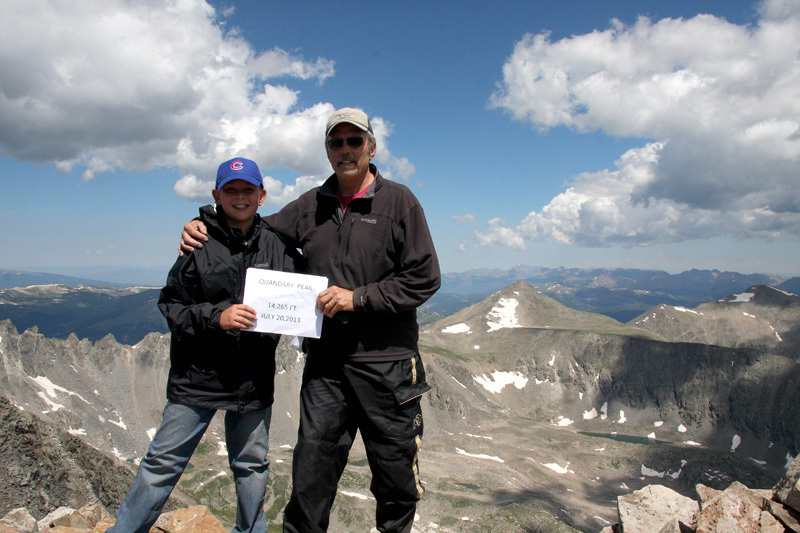 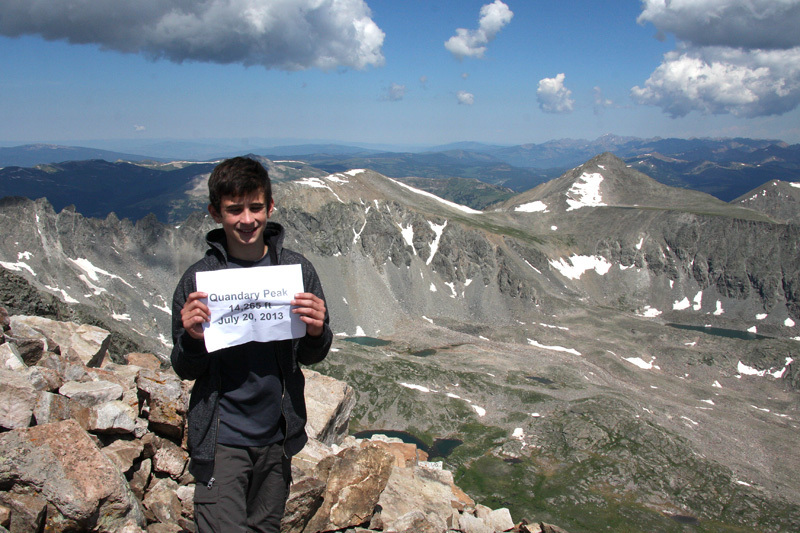 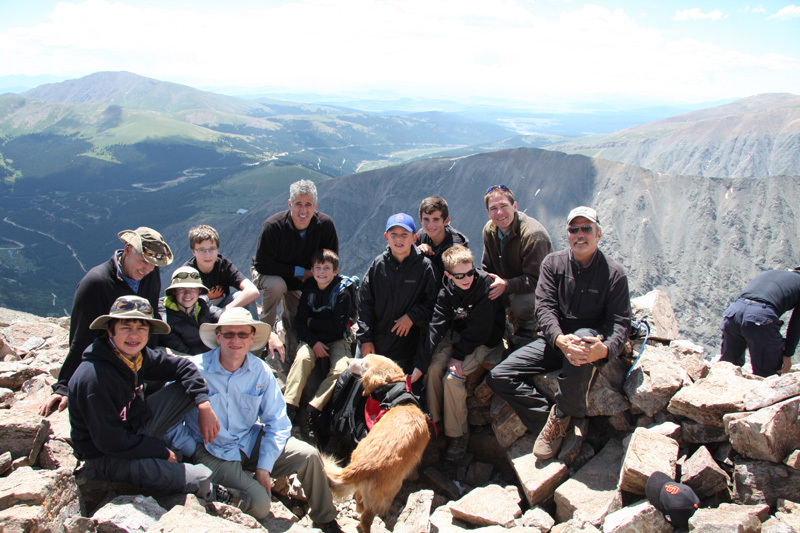 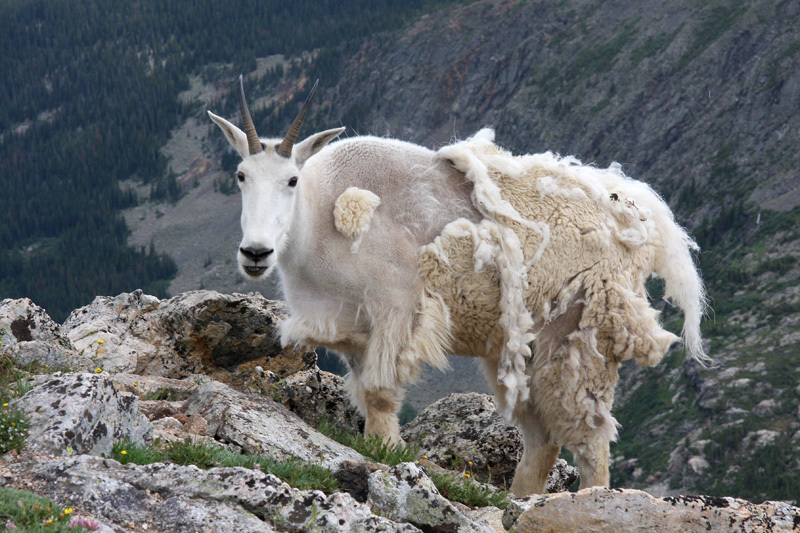 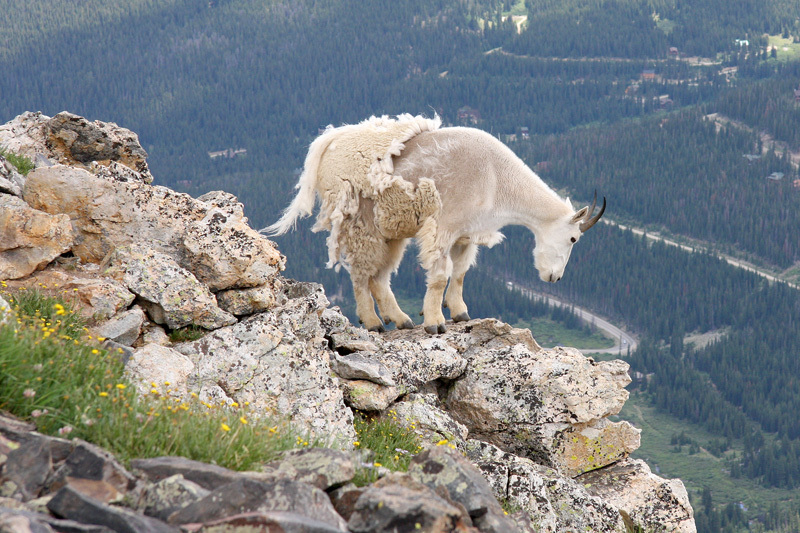 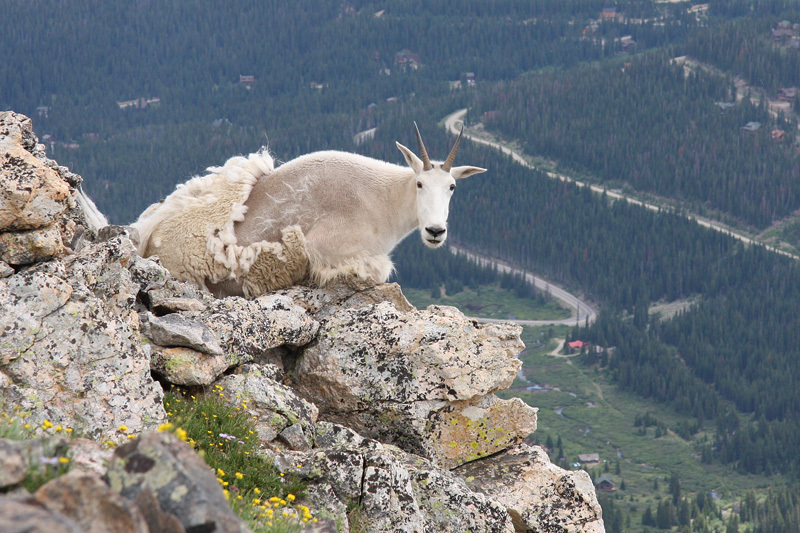 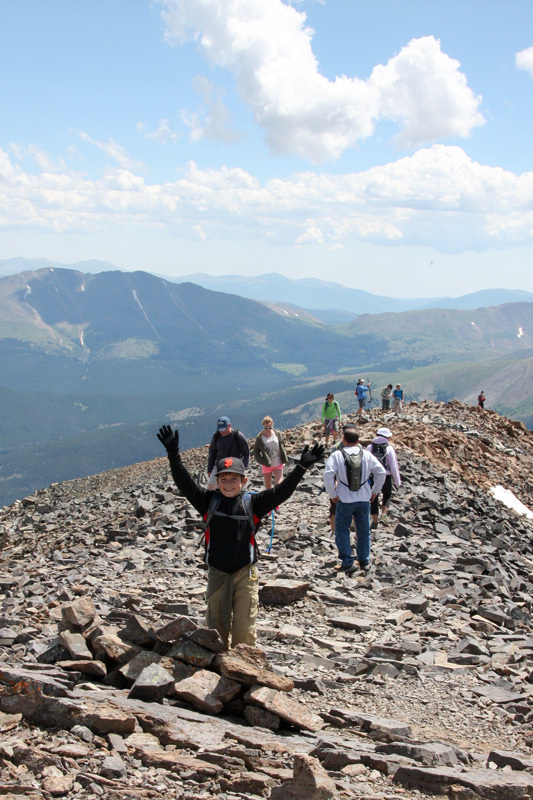 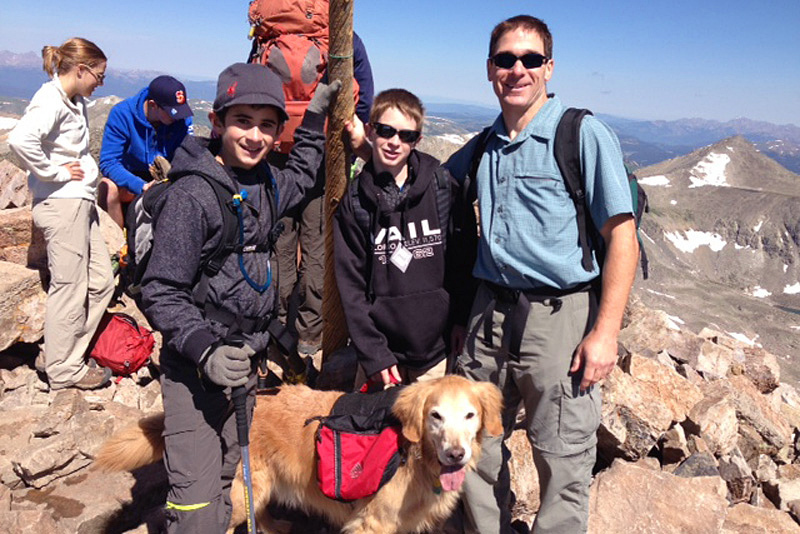 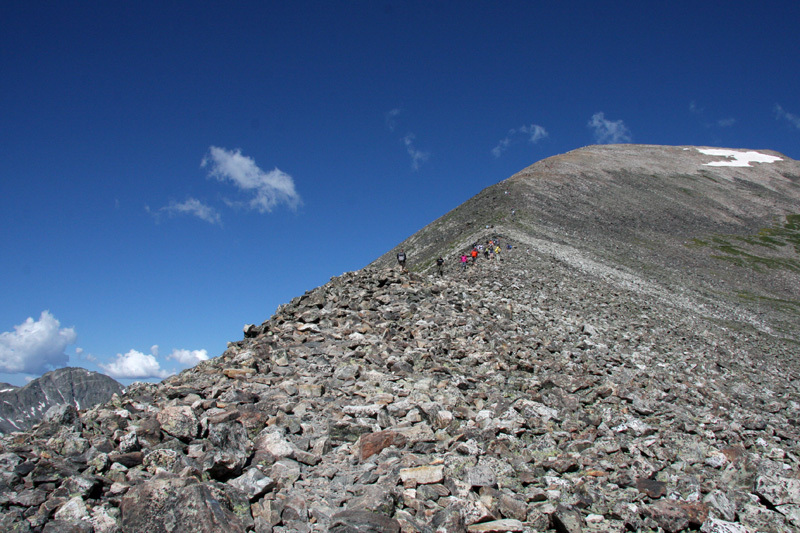 Skip to Quandary Peak 14er Hike !!! 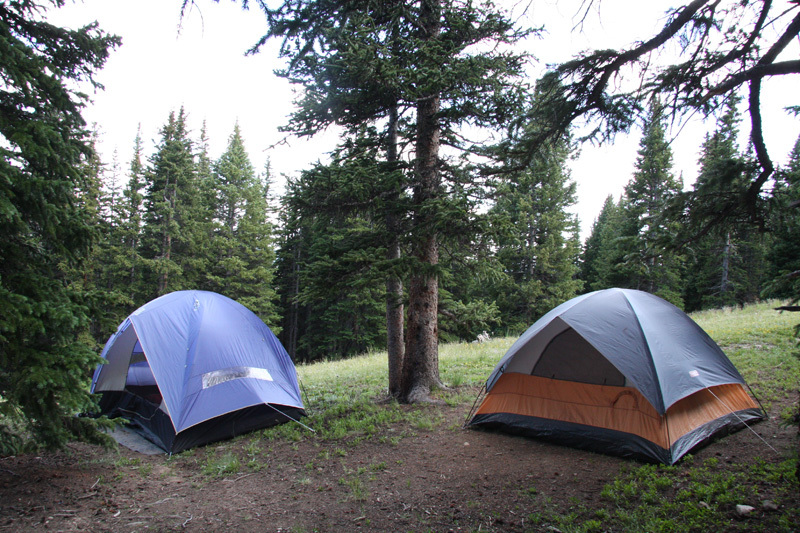 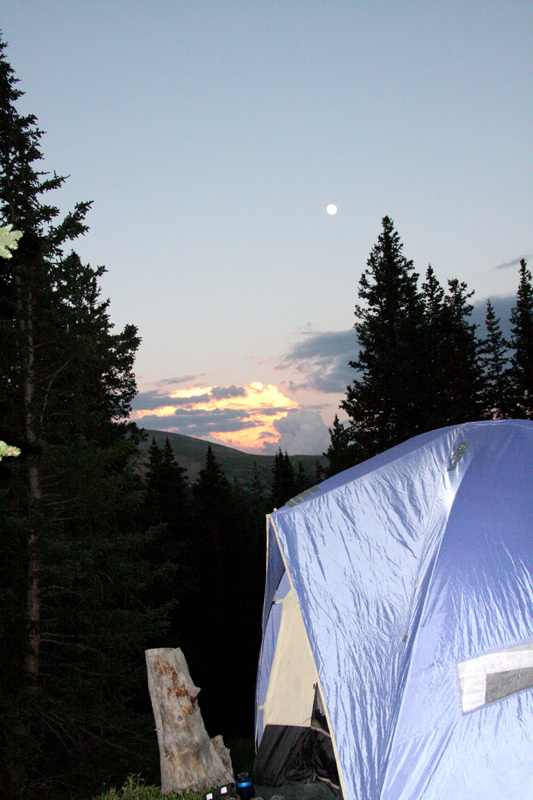 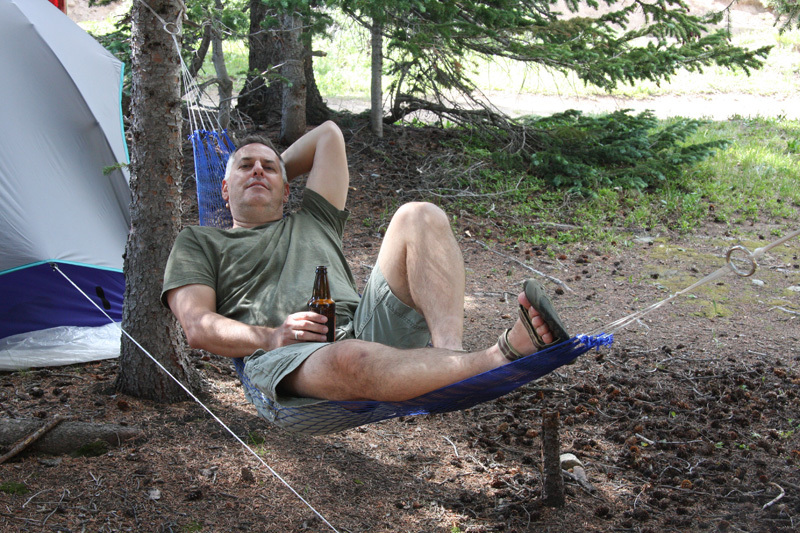 We camped a few miles from the trailhead at the bottom of Quandary Peak in a bueatiful spot off Colorado route 9. 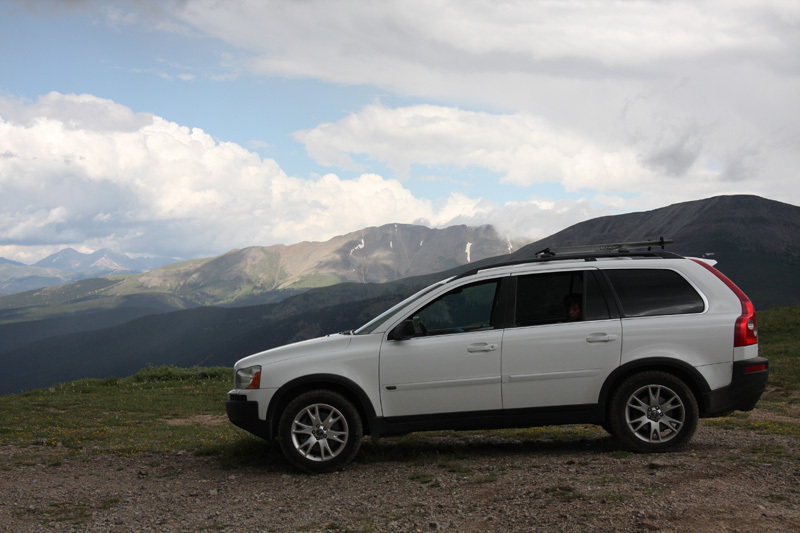 Day 1 - After stopping for lunch at the Breckenridge Brewery, we continued on Colorado 9 towards Hoosier Pass and turned off on a US Forest Service dirt road. 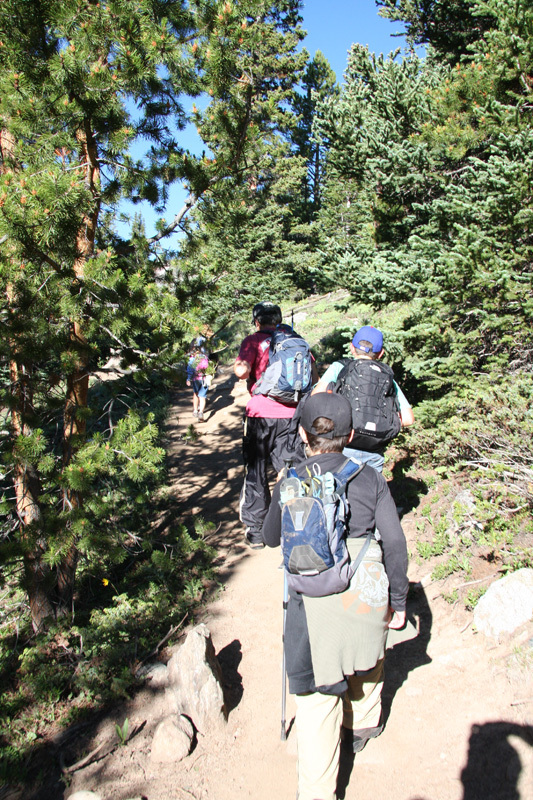 Initially we passed the campsite we would choose and took the jeep trail to the top of the mountain and it was a pretty adventurous trail that got the kids a little nervous. 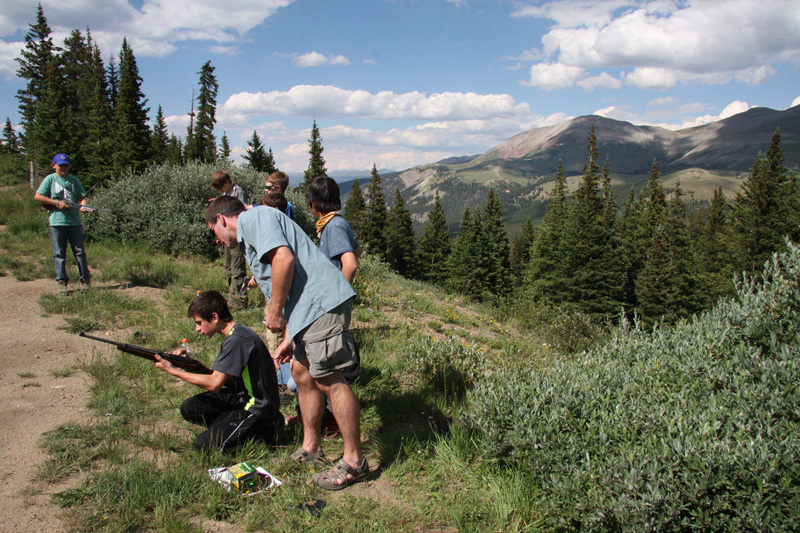 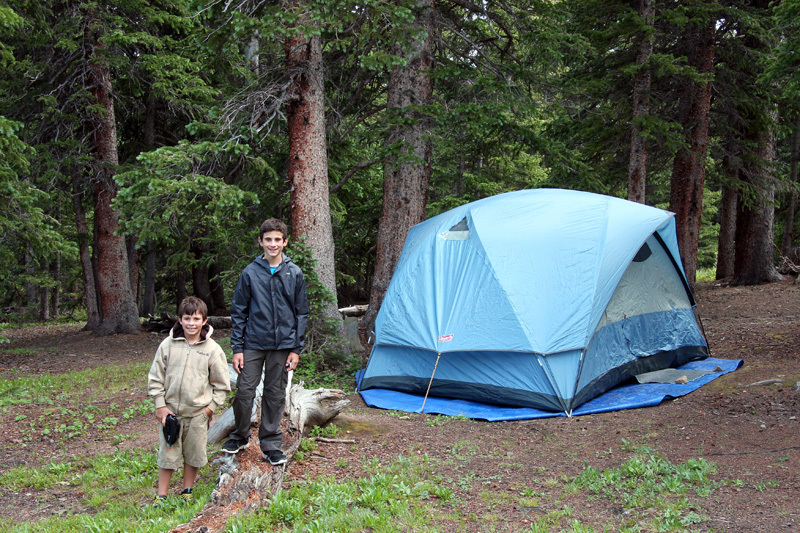 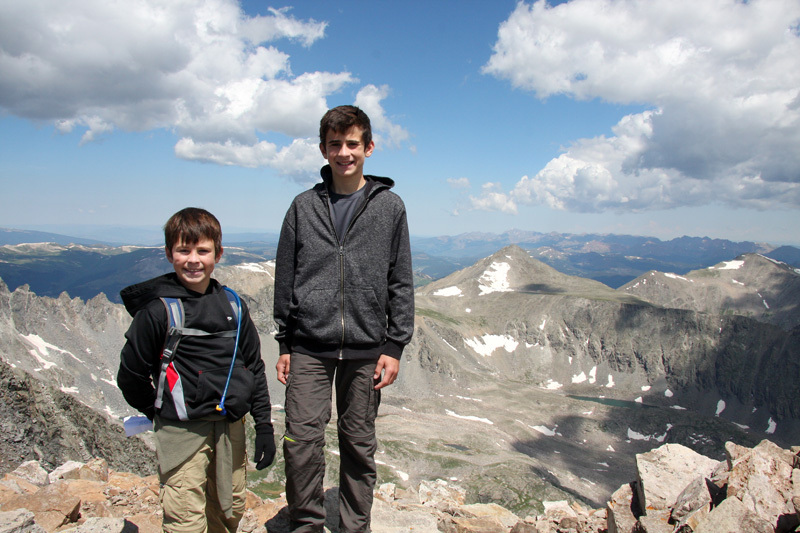 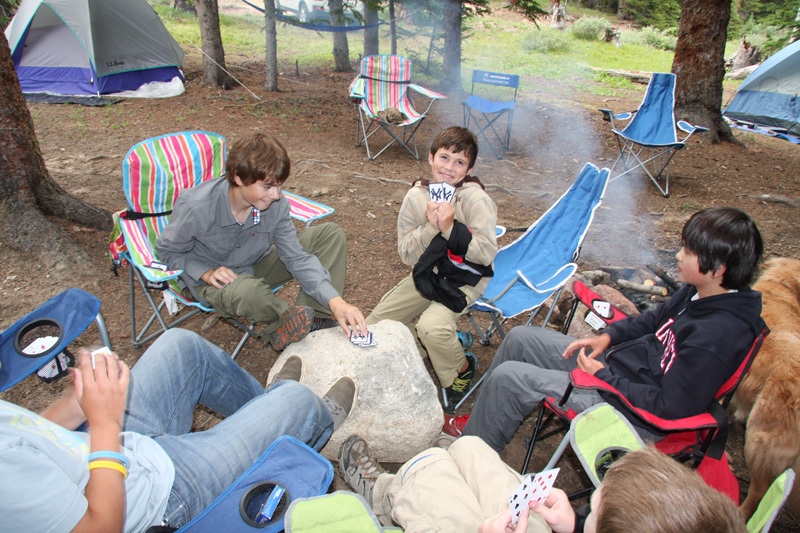 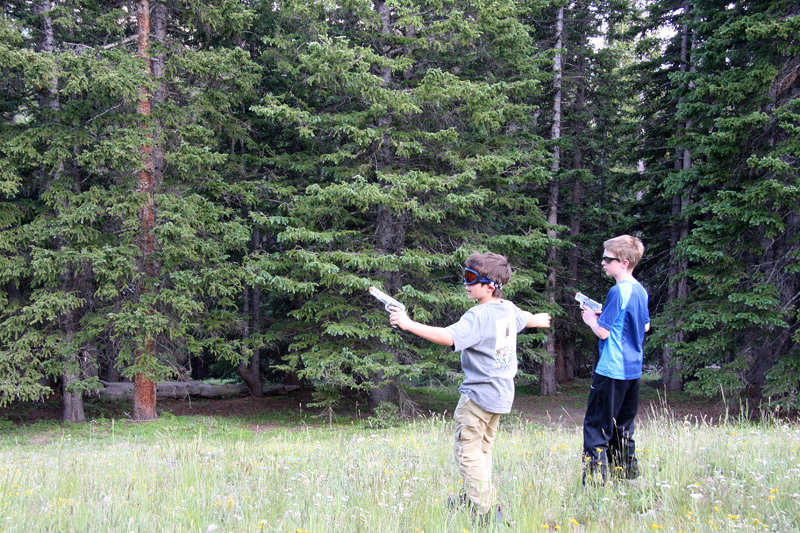 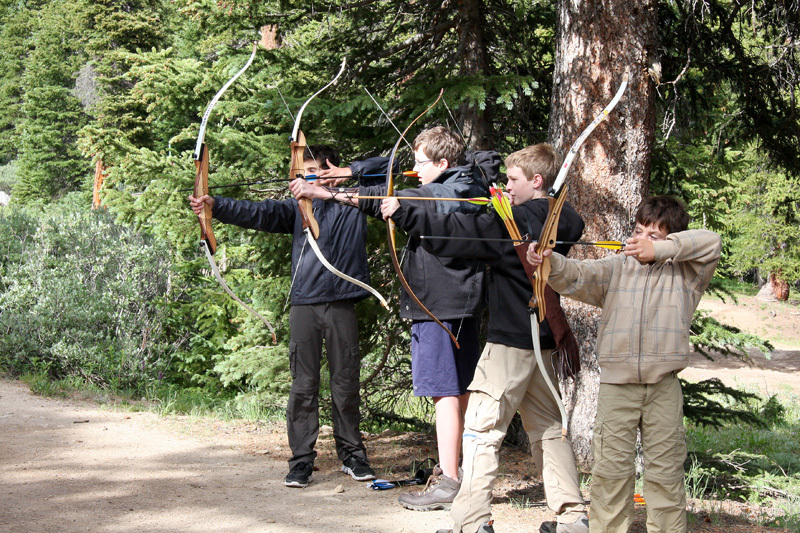 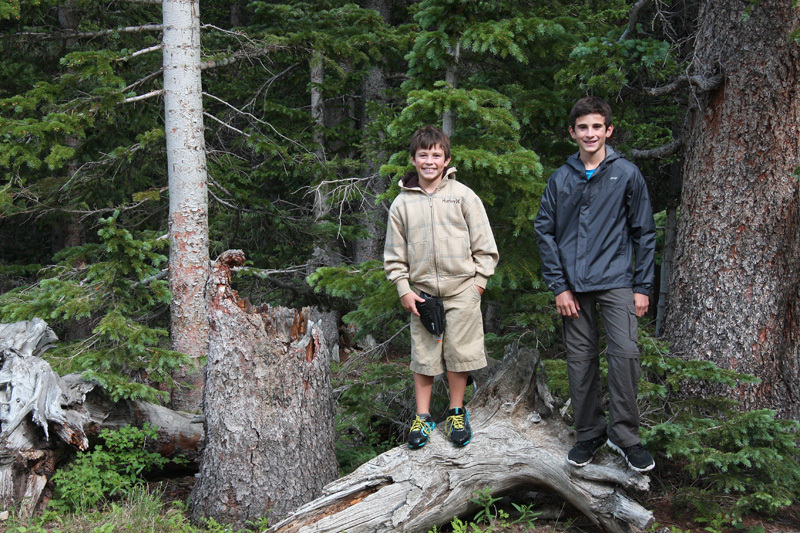 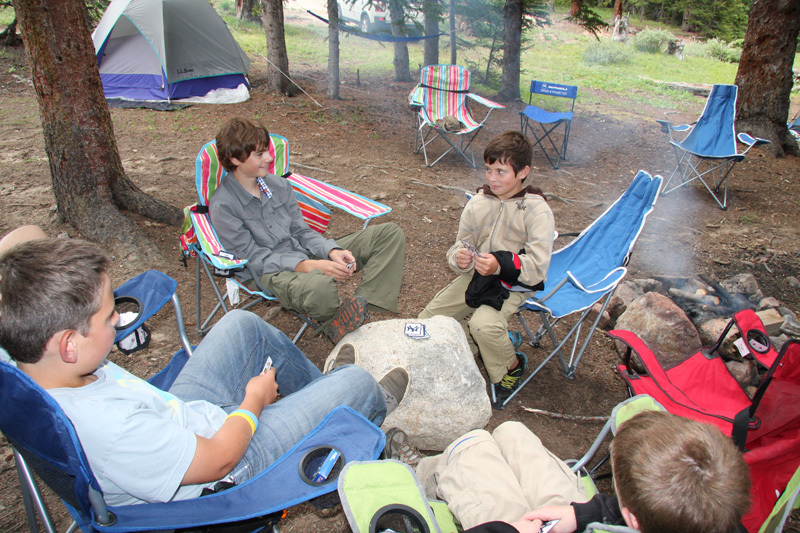 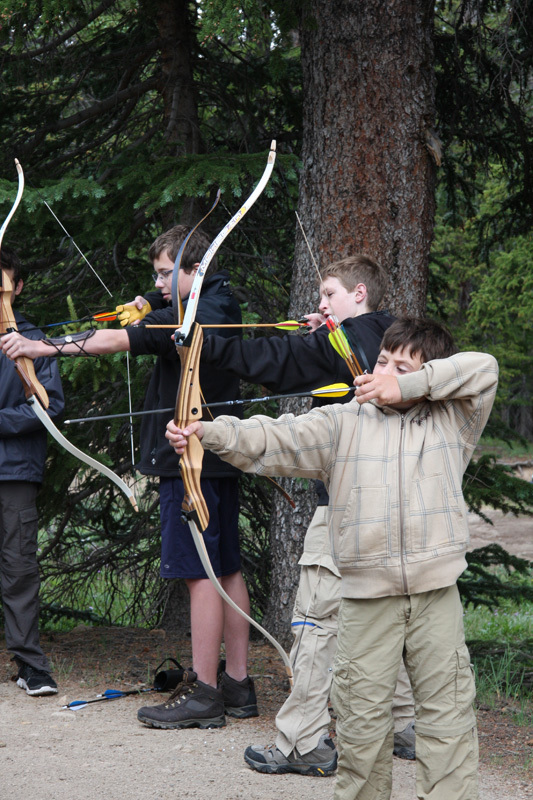 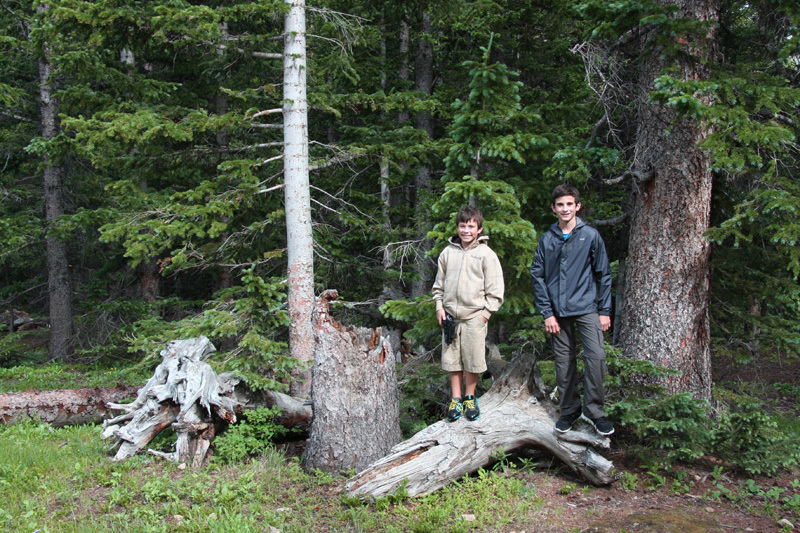 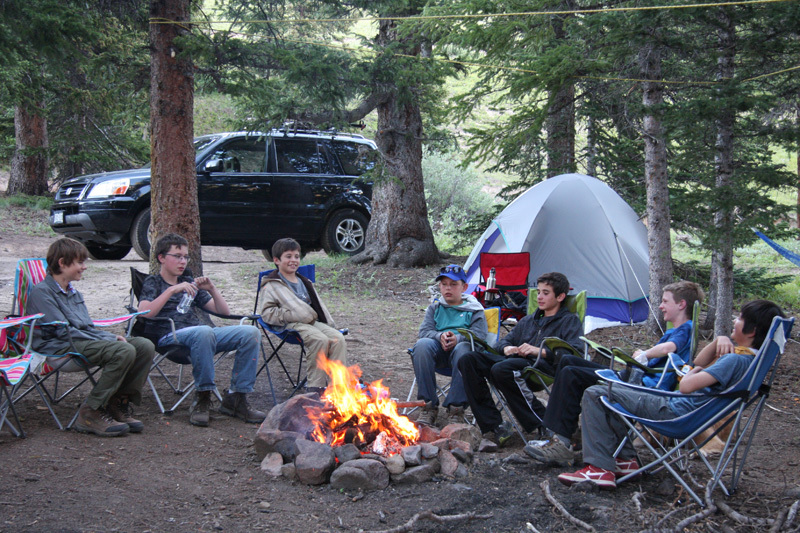 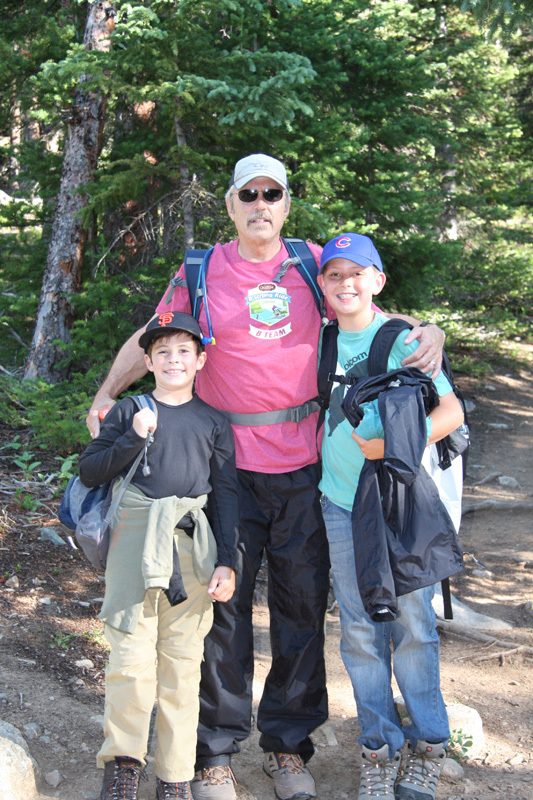 We turned back around and set up camp whereupon the boys wasted no time in having fun. 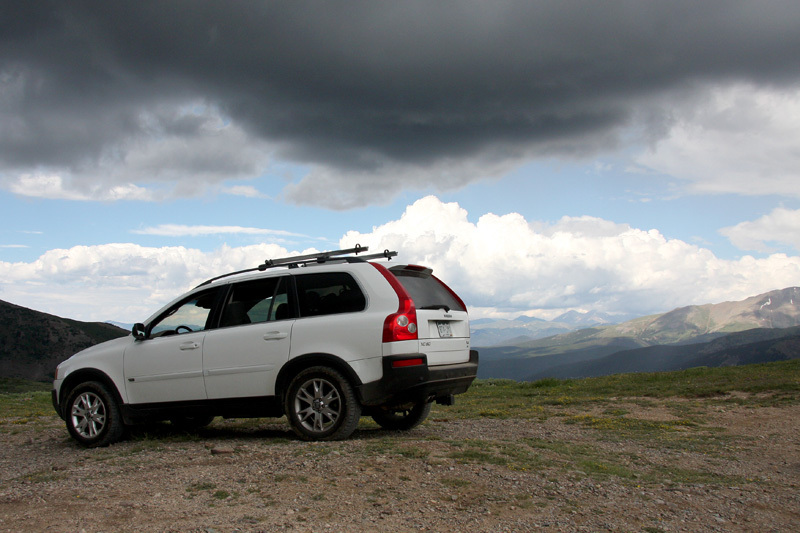 I took the opportunity at the top of the road to make my own "Jeep Ad" with our Volvo XC90. 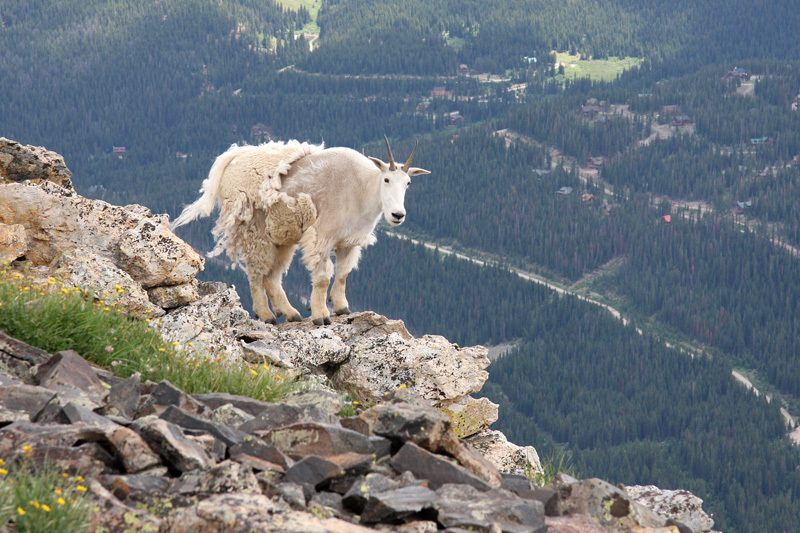 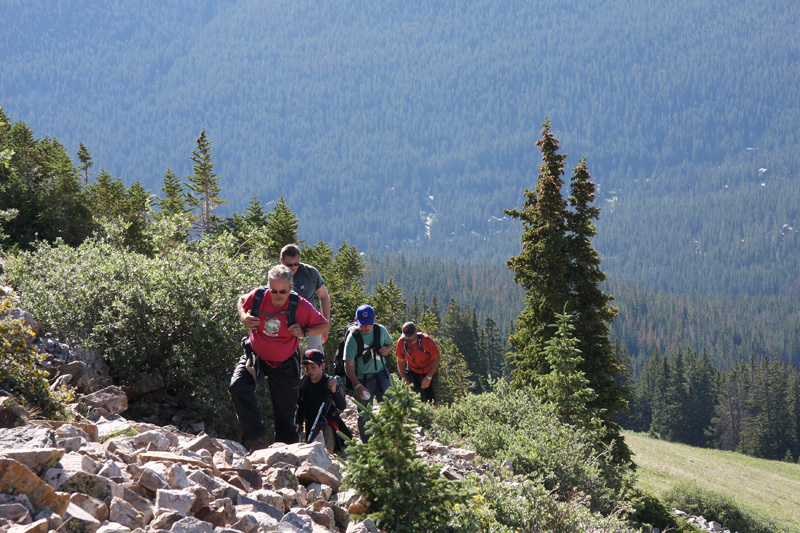 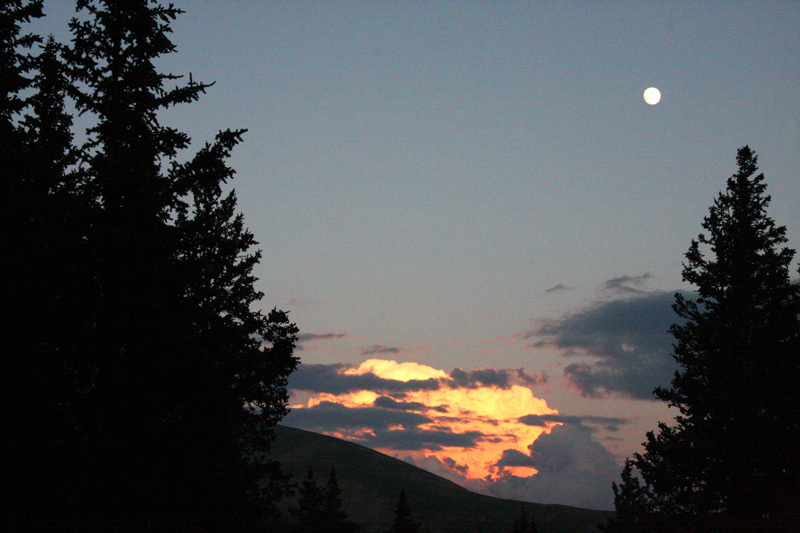 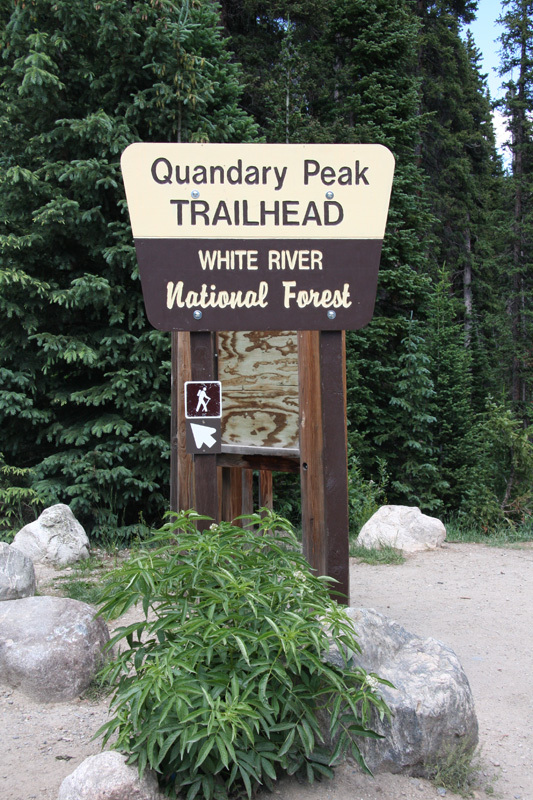 Day 2 - We woke up bright and early, ate breakfast and drove the short distance to the Quandary Peak trail head. 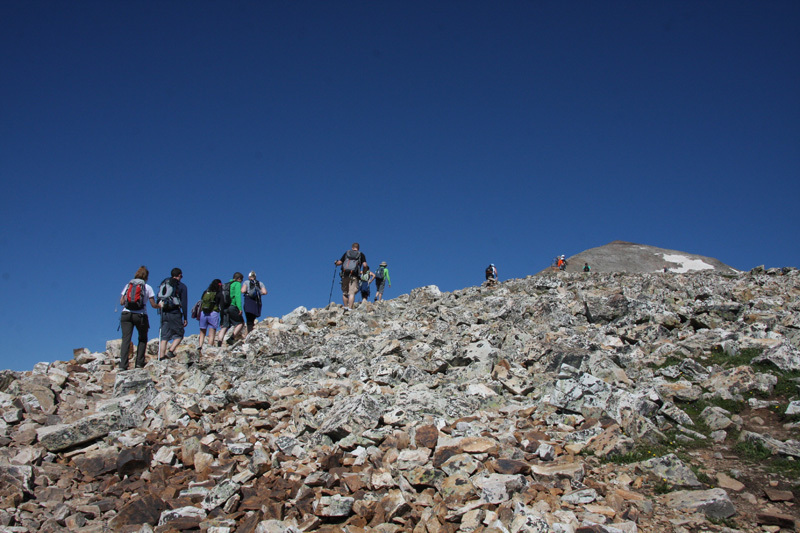 We started shortly before 7:30am, summitted in various groups in the late morning and completed the hike in about 6 hours total on average. 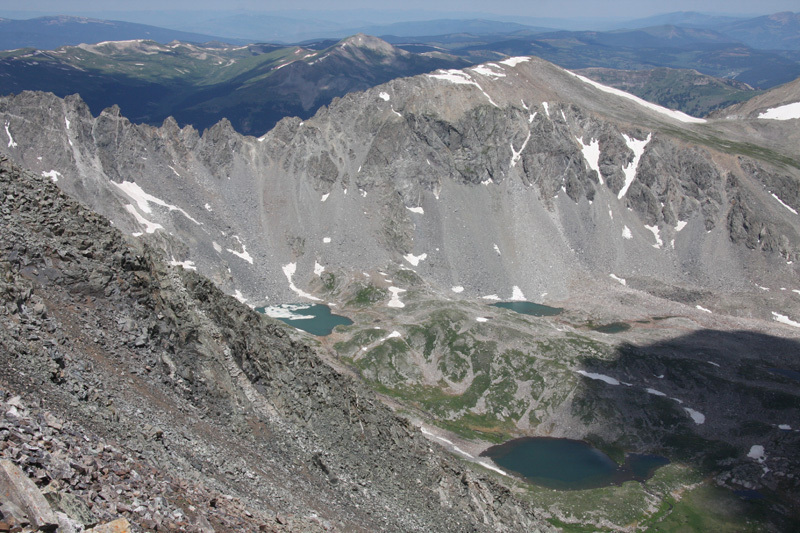 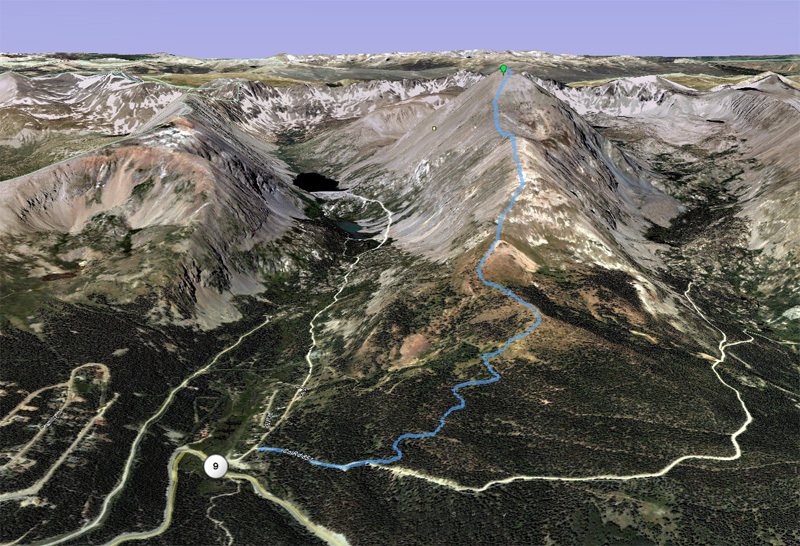 This aerial view of Quandary Peak shows the East Ridge route (in blue) which we followed. 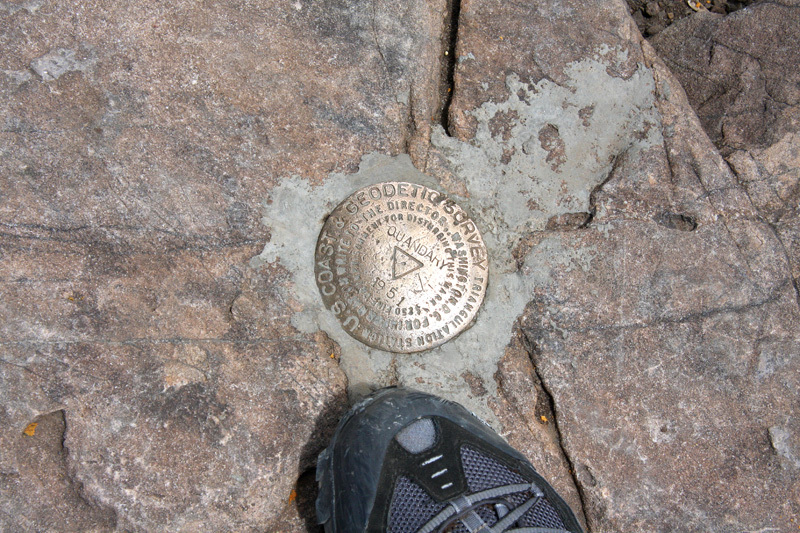 The East Ridge route is the easiest of the routes and features only Class 1 hiking. 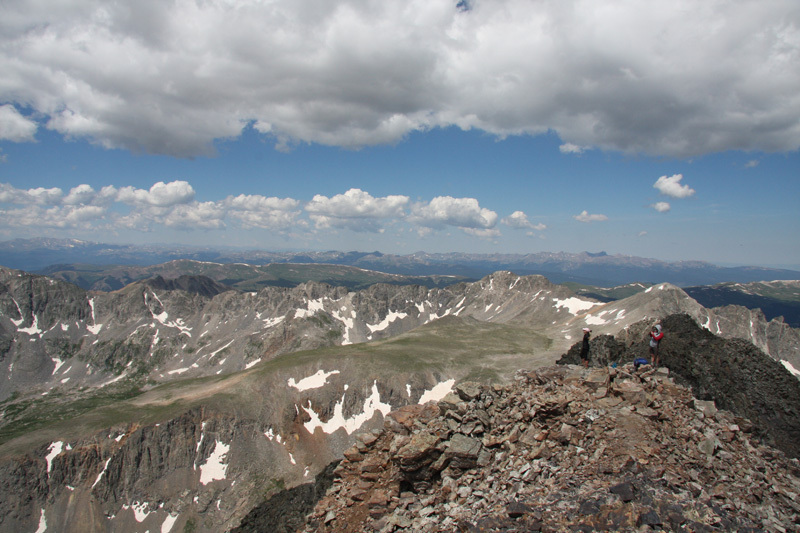 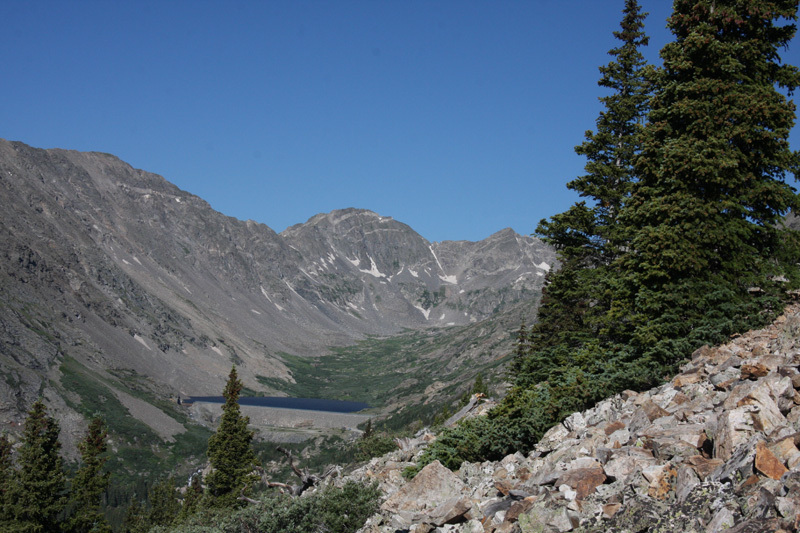 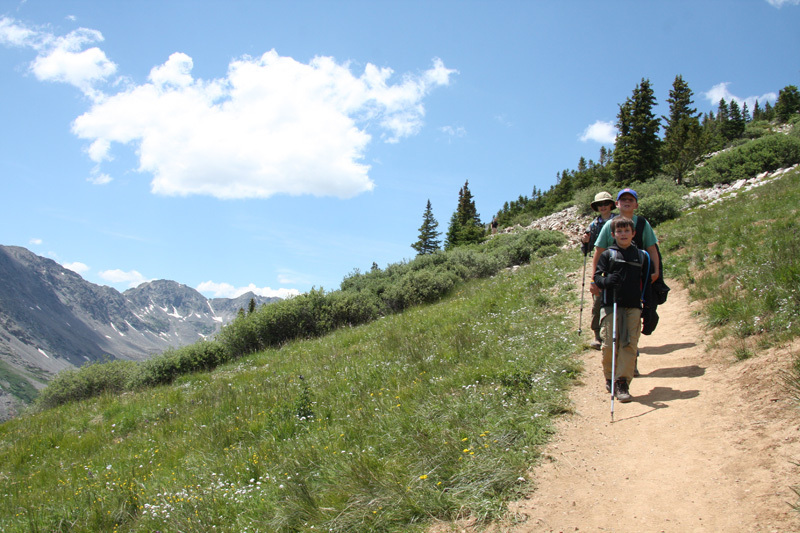 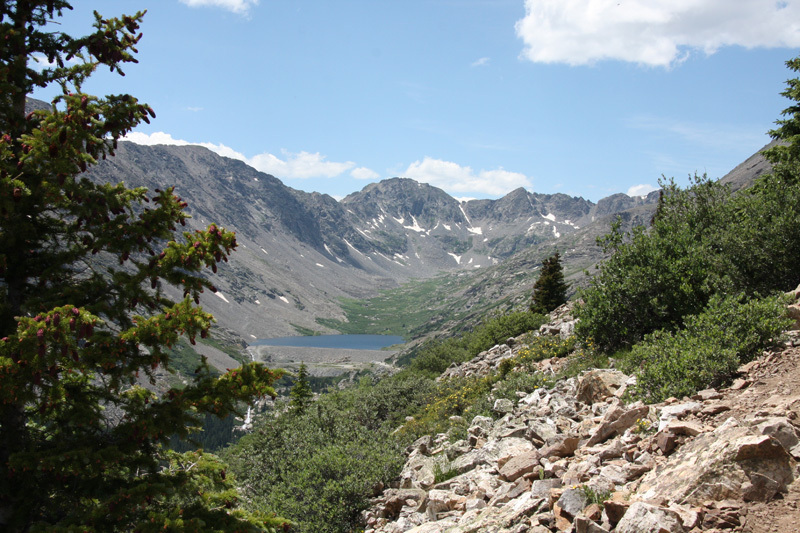 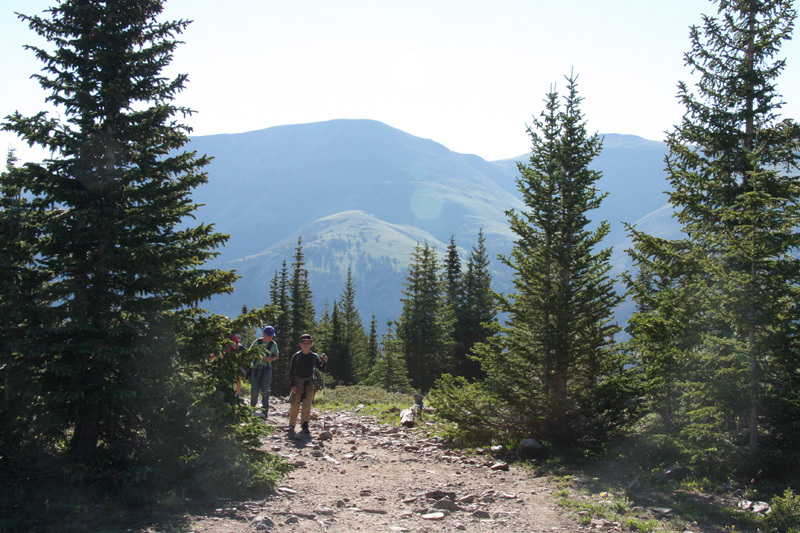 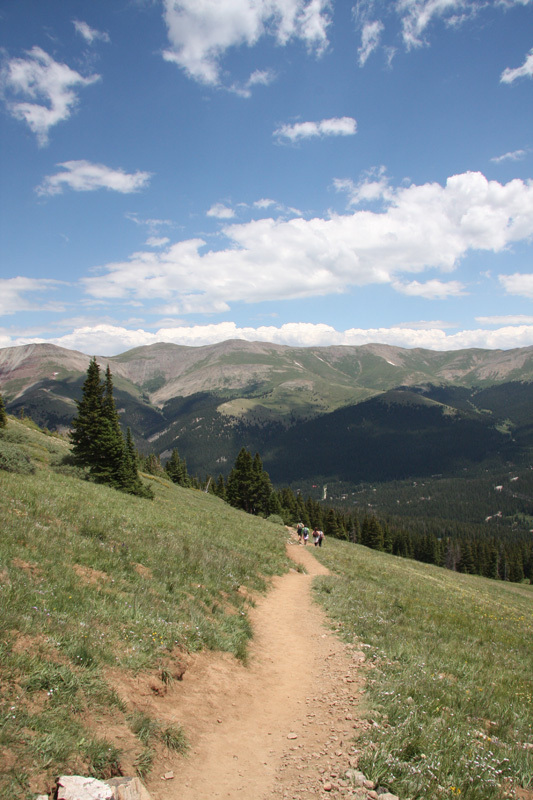 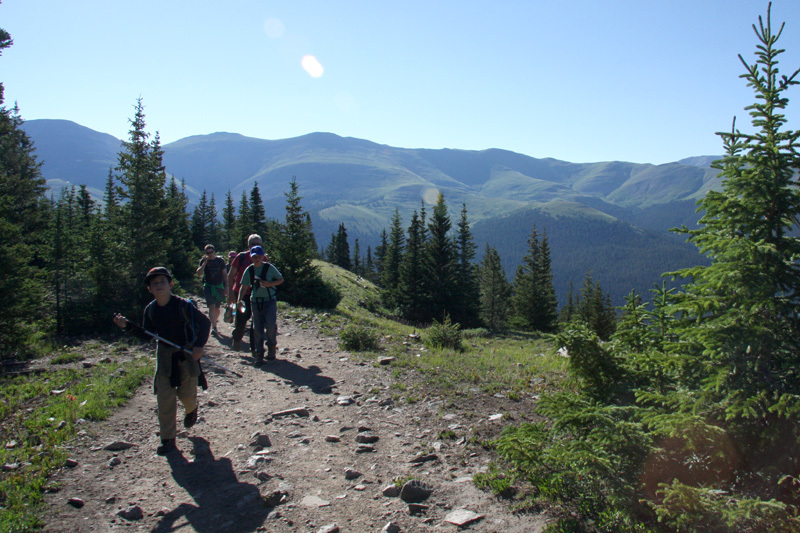 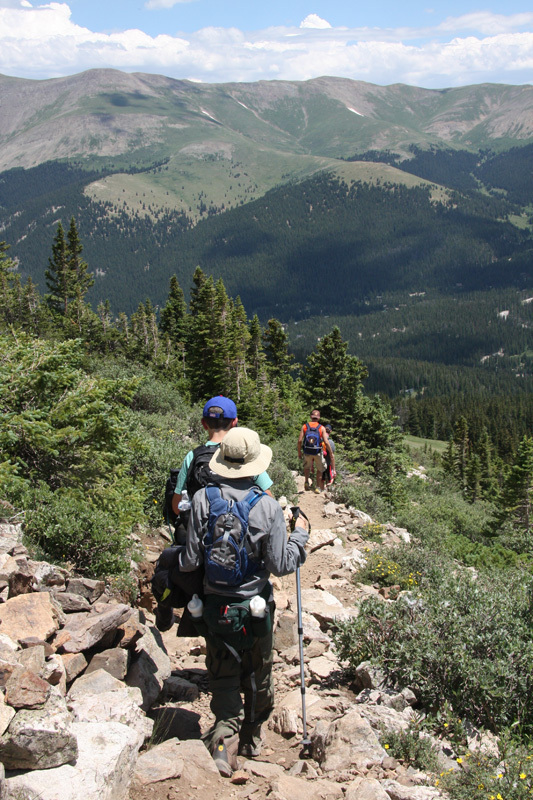 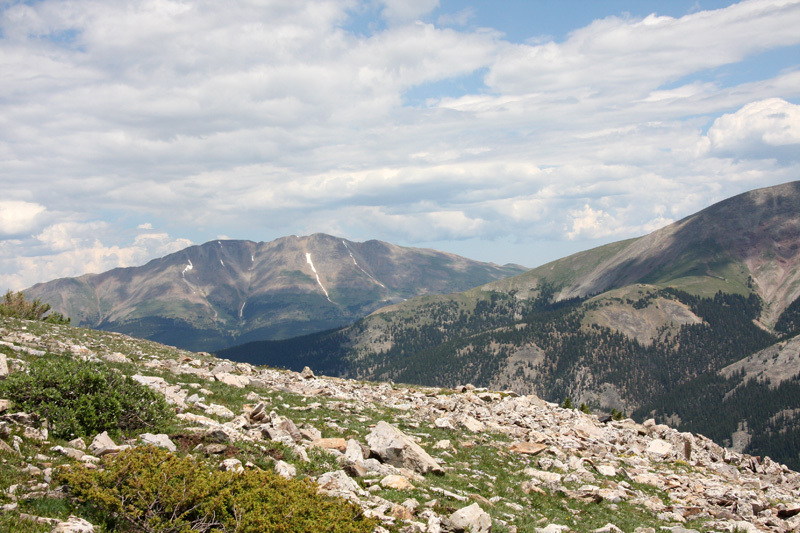 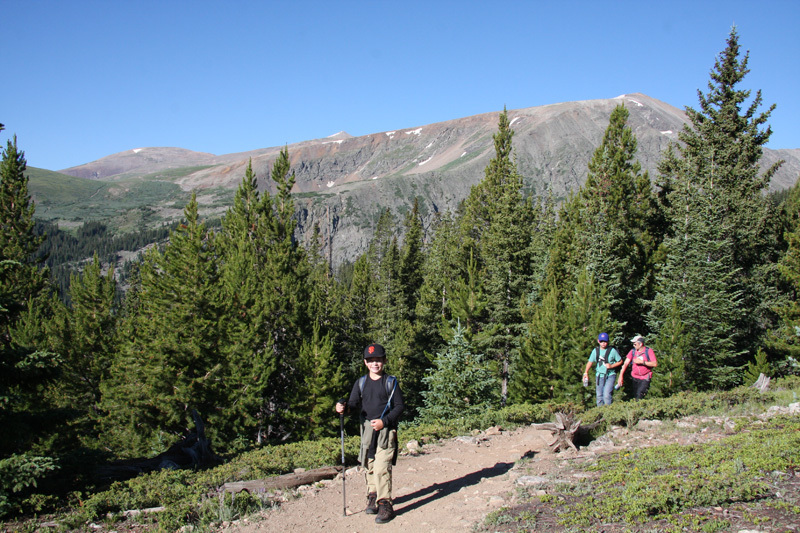 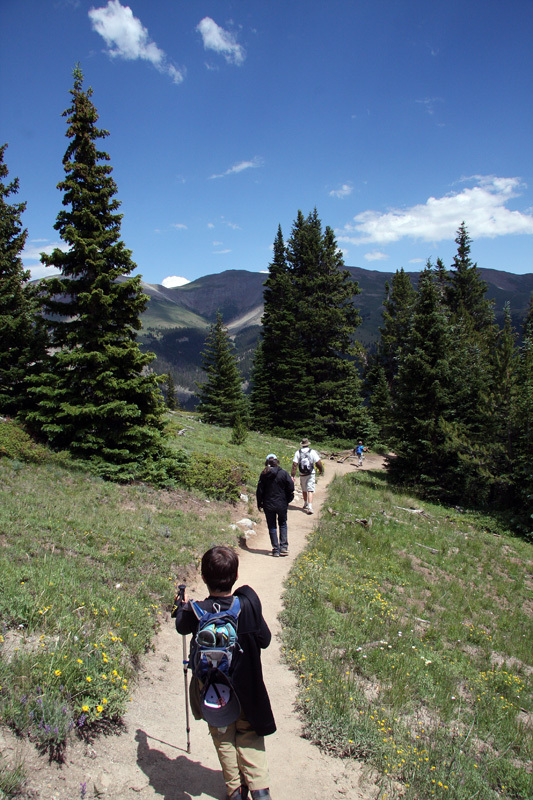 The trail meanders through the trees until about 11,700 feet whereupon a series of steep switchbacks puts you on top of a ridge which gradually increases in elevation until about 13,100 feet. 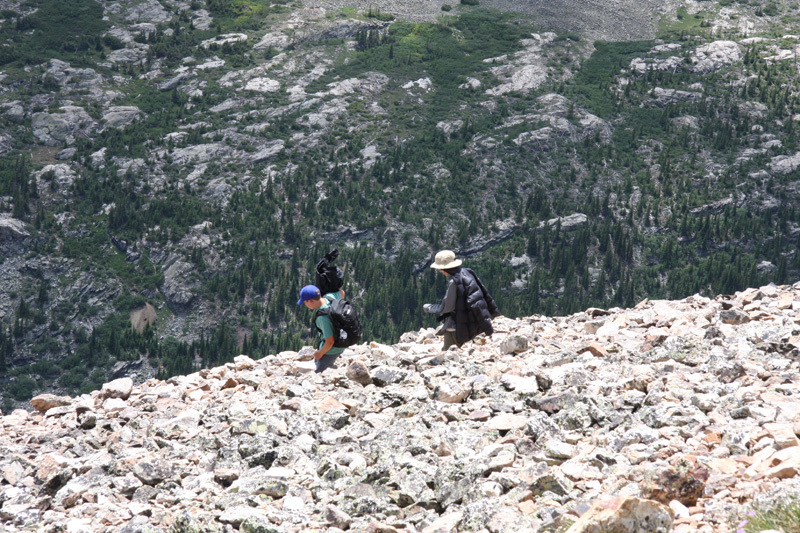 Then its a hard push up the steeper upper ridge for the last 1,000 feet or so to the summit. 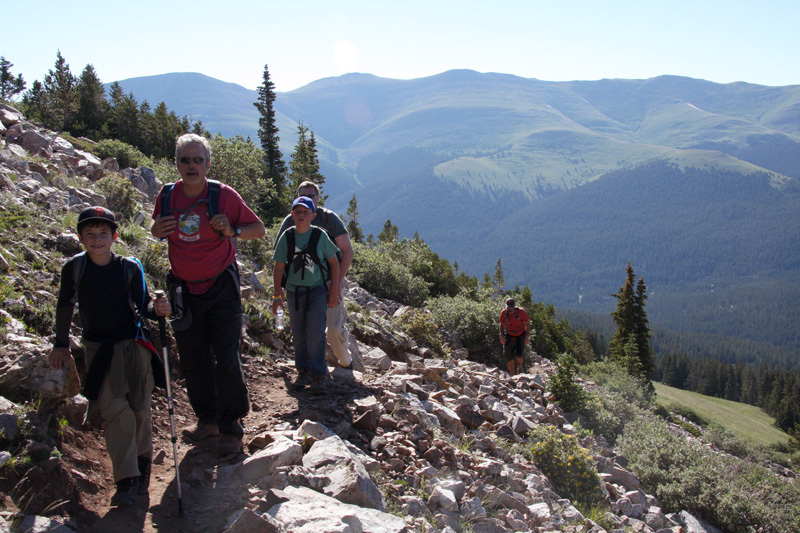 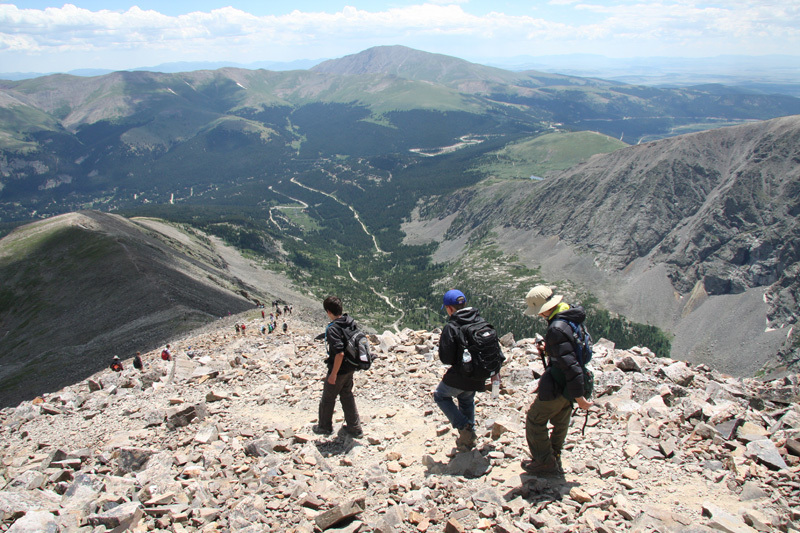 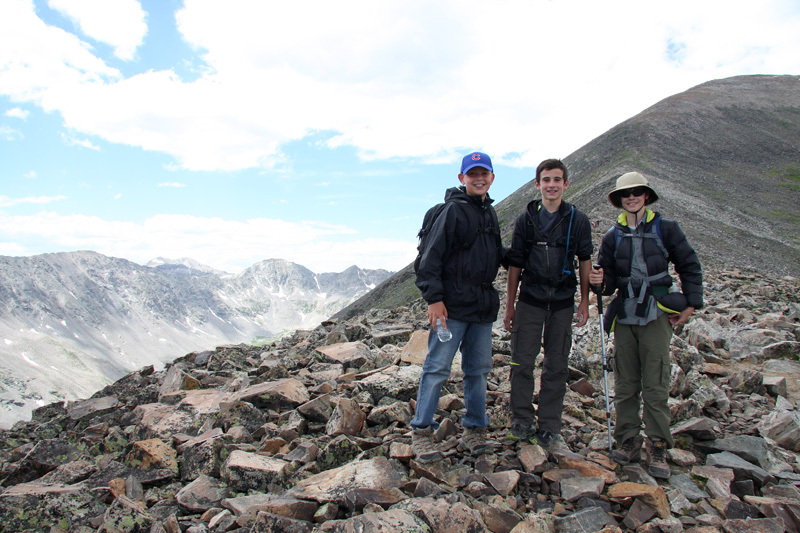 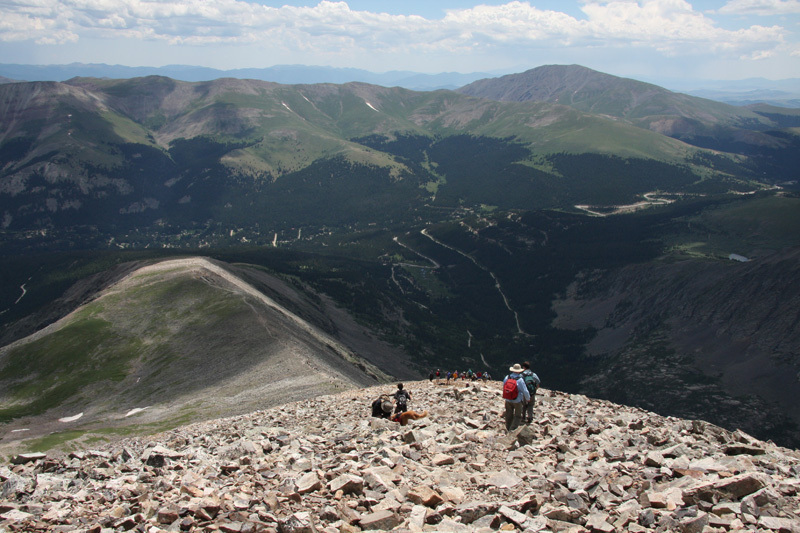 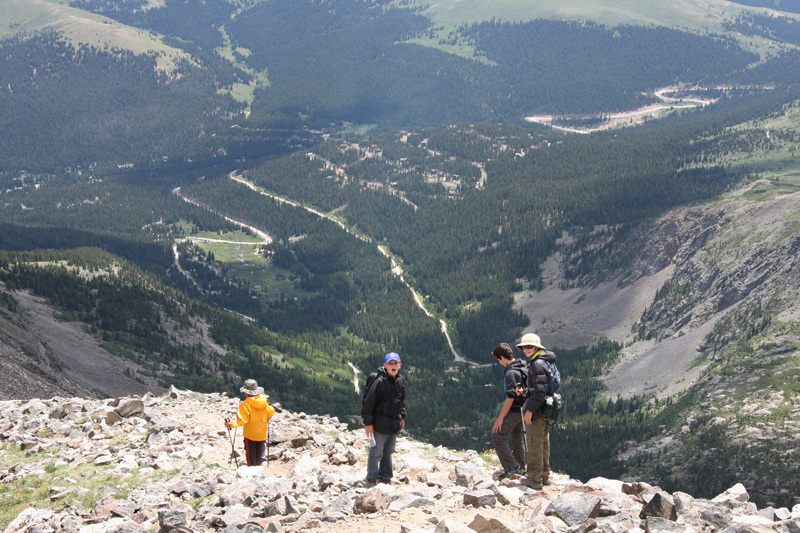 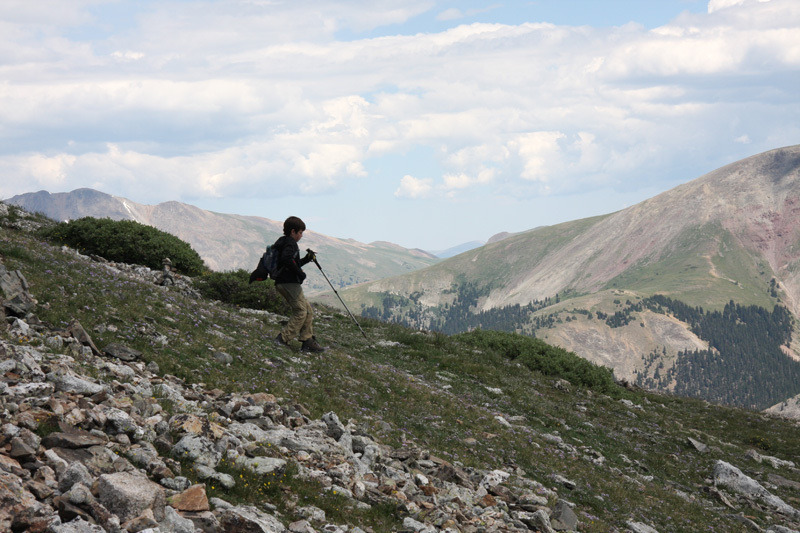 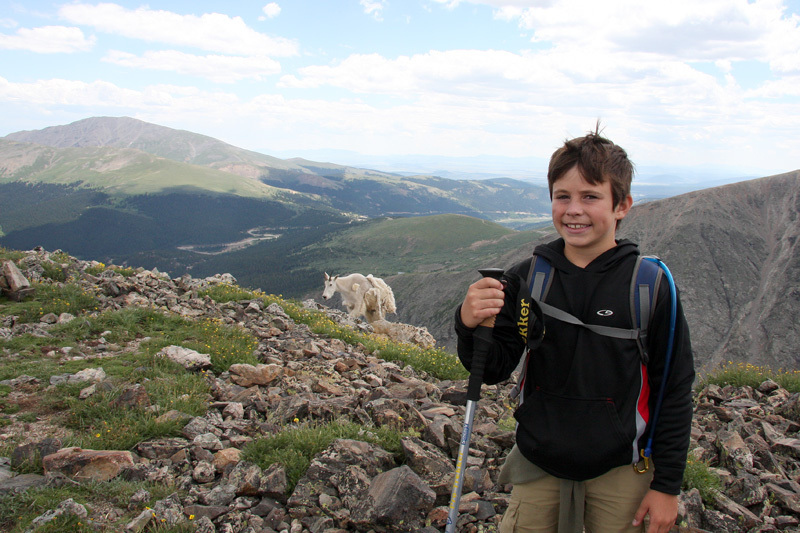 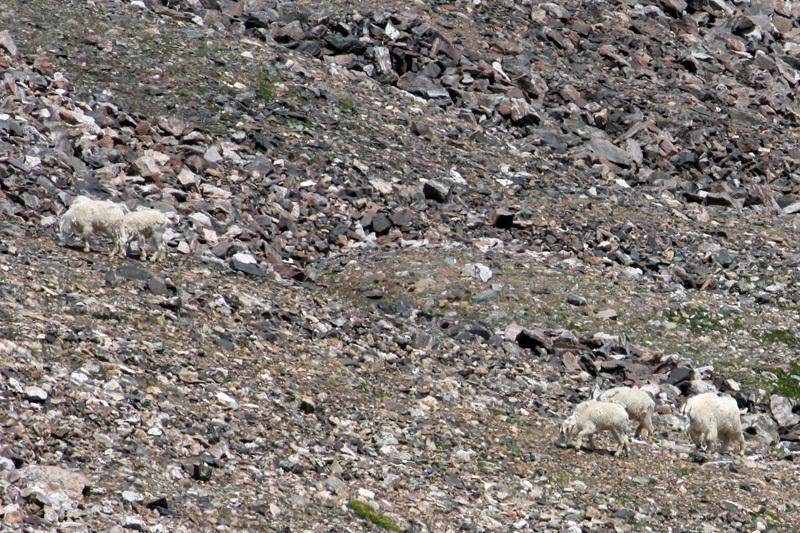 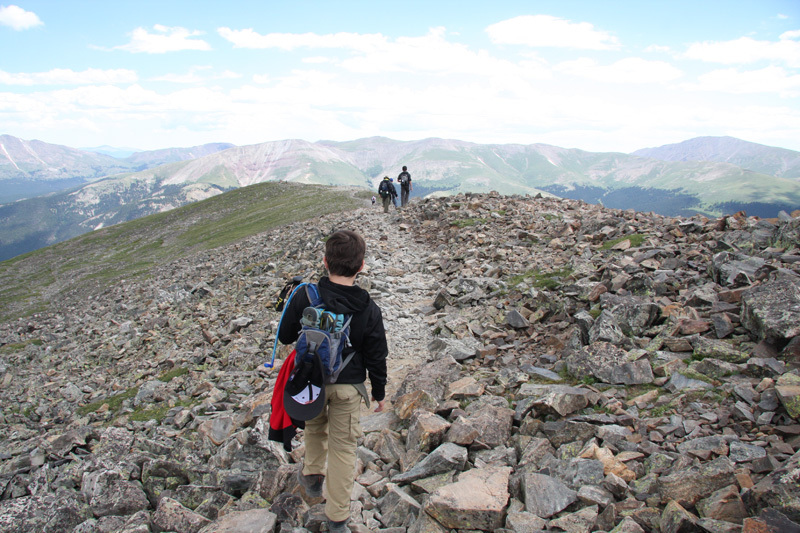 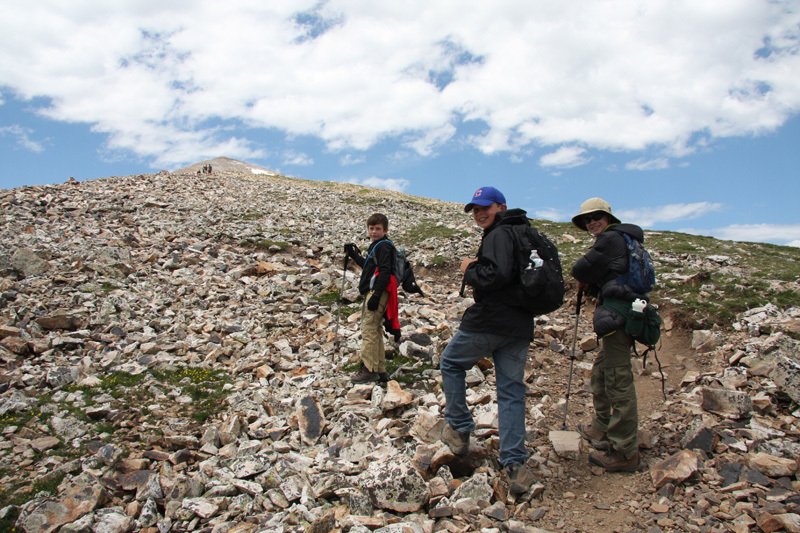 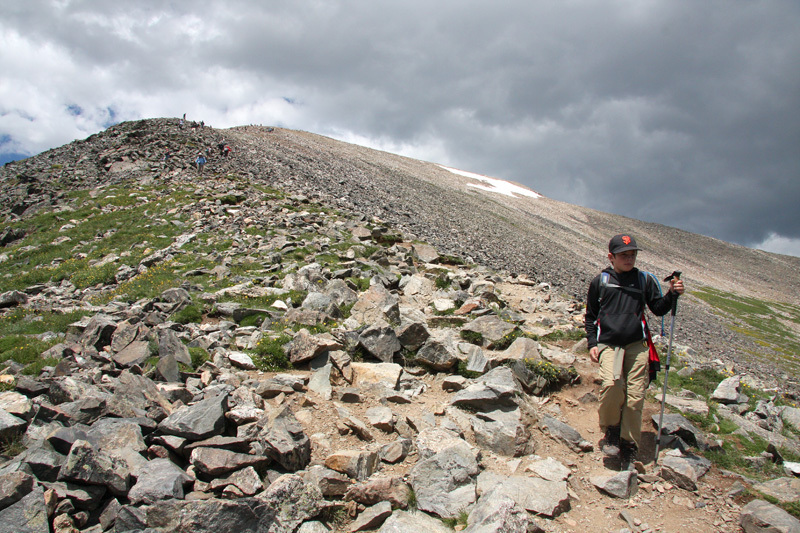 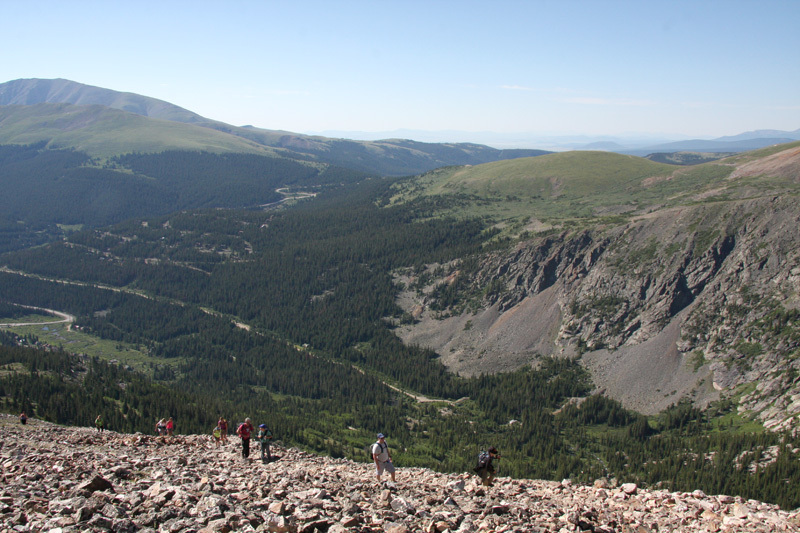 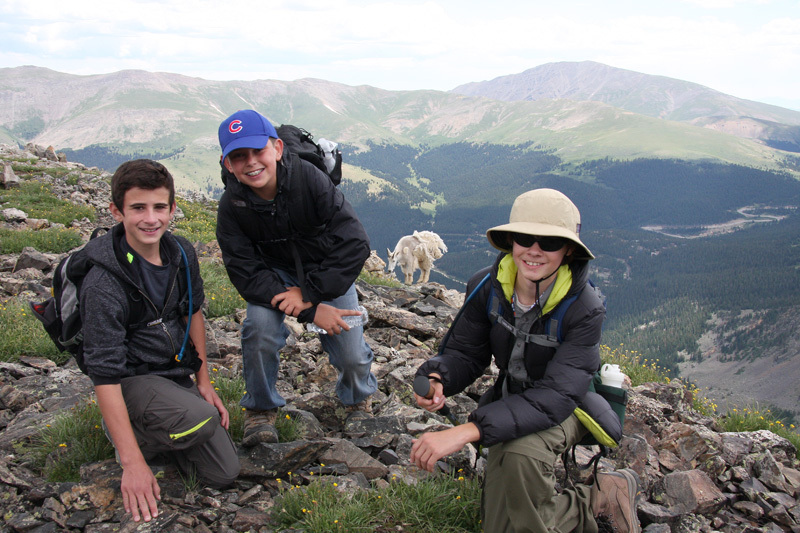 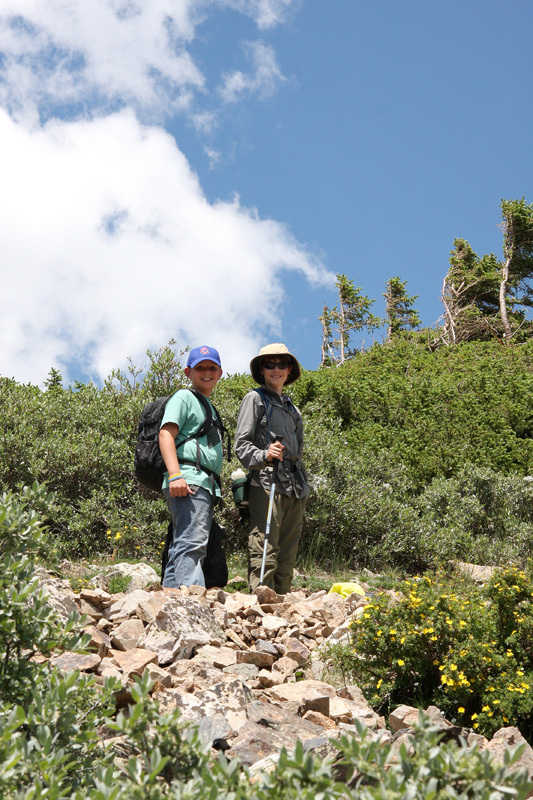 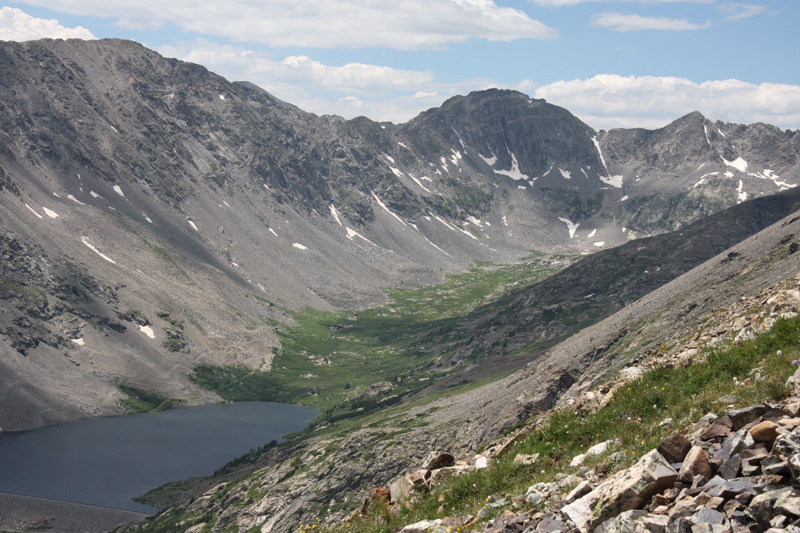 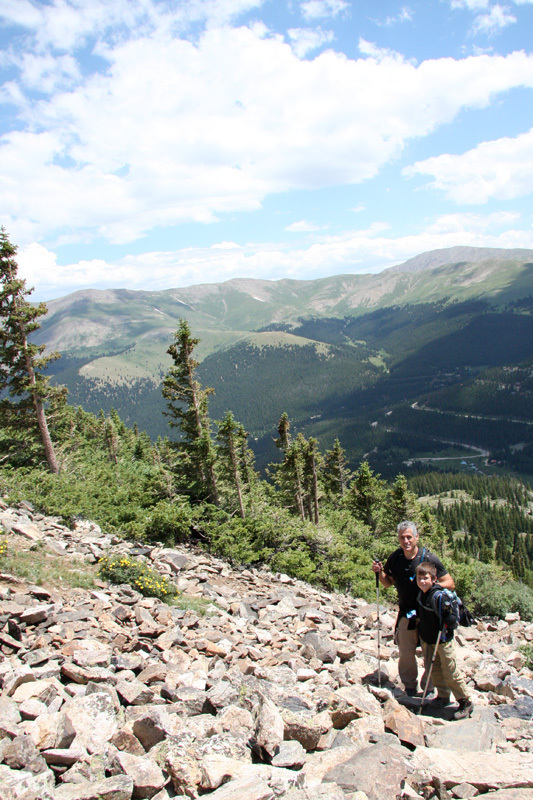 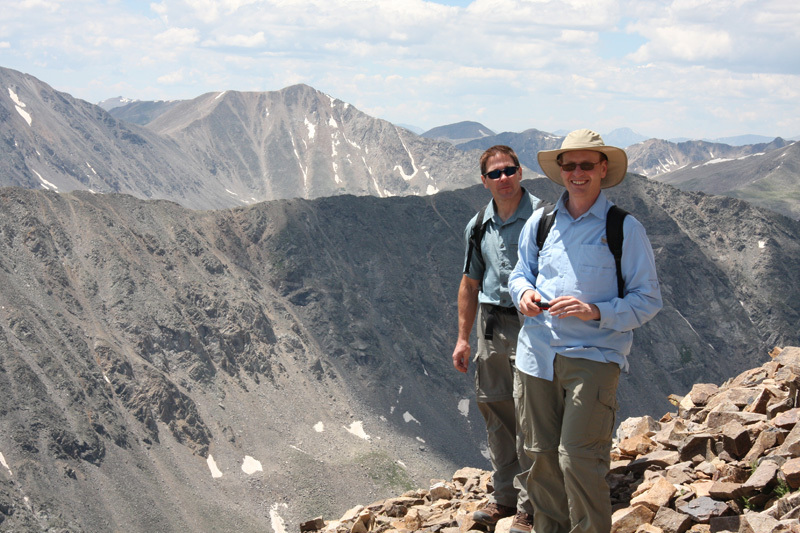 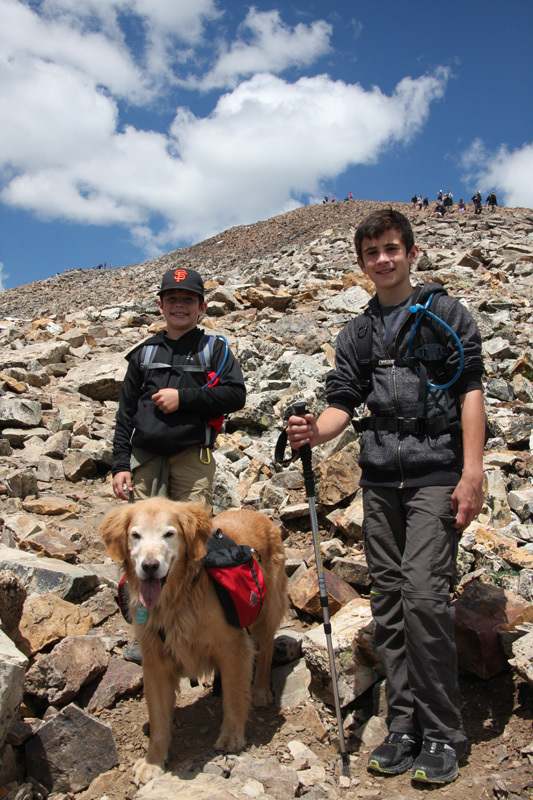 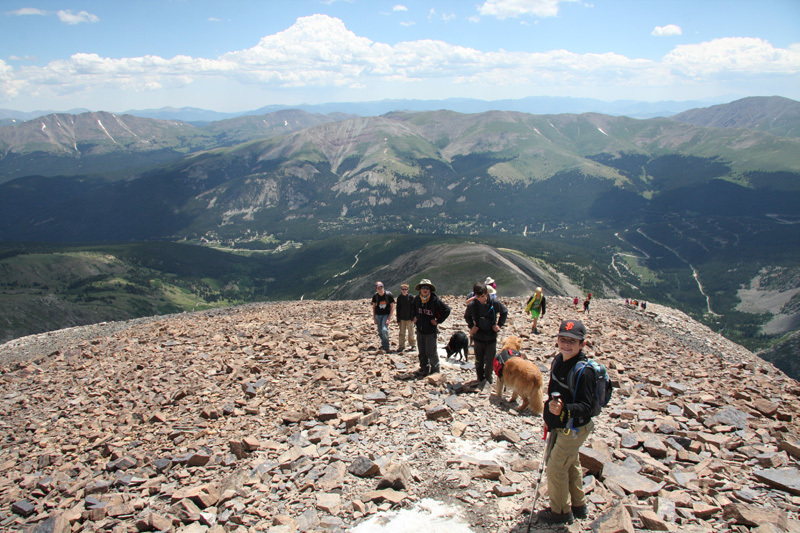 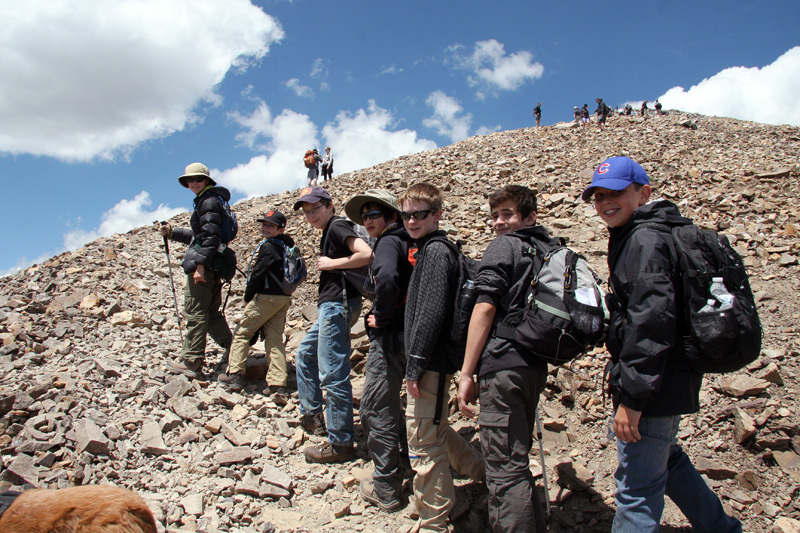 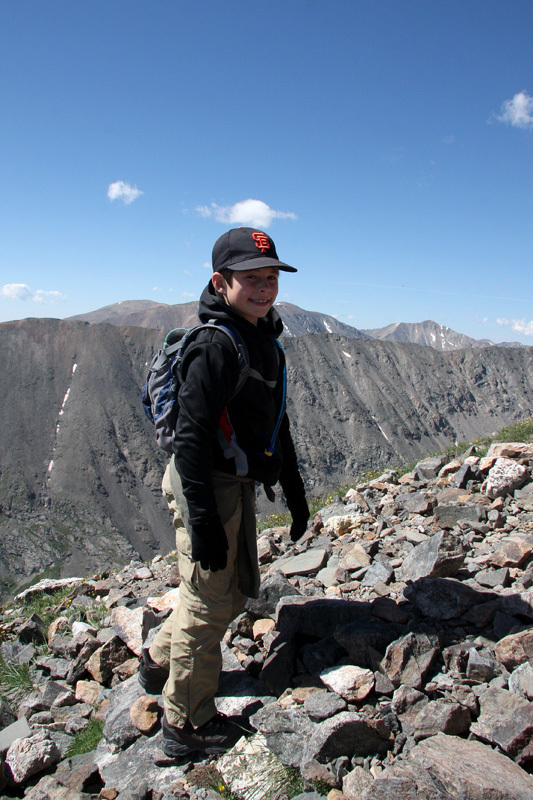 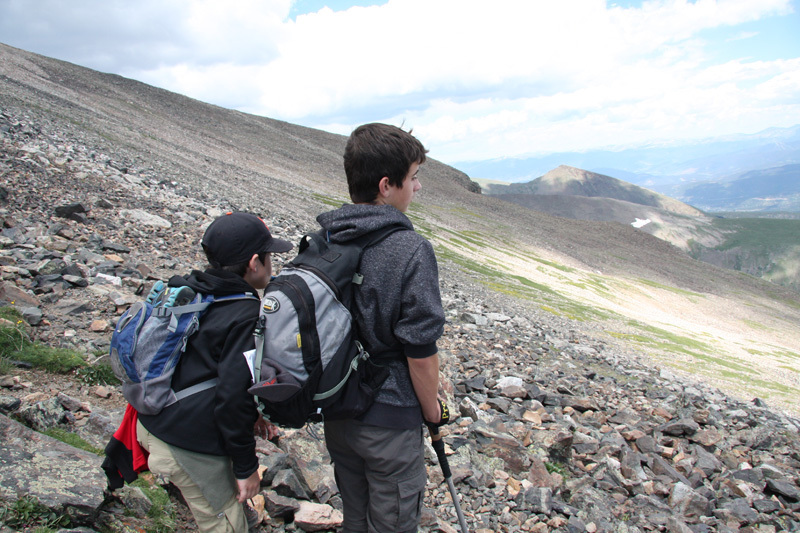 The trail featured lots of scree and lose boulders making the climb a little tougher. 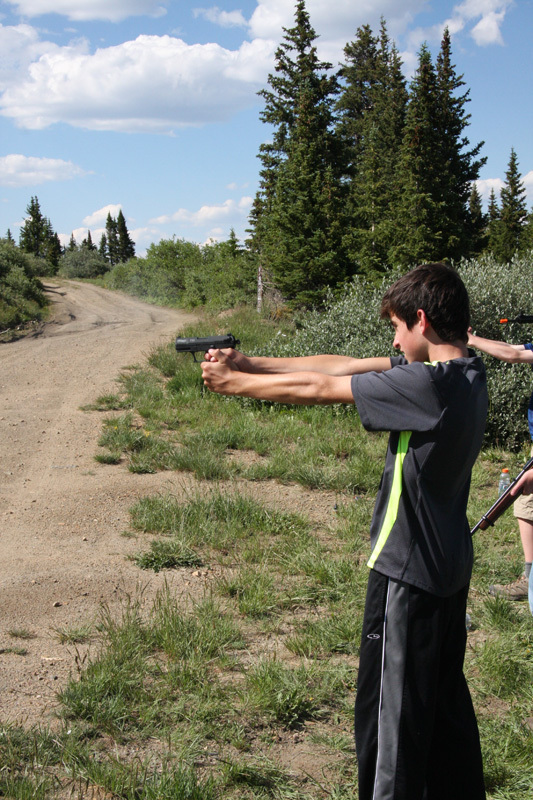 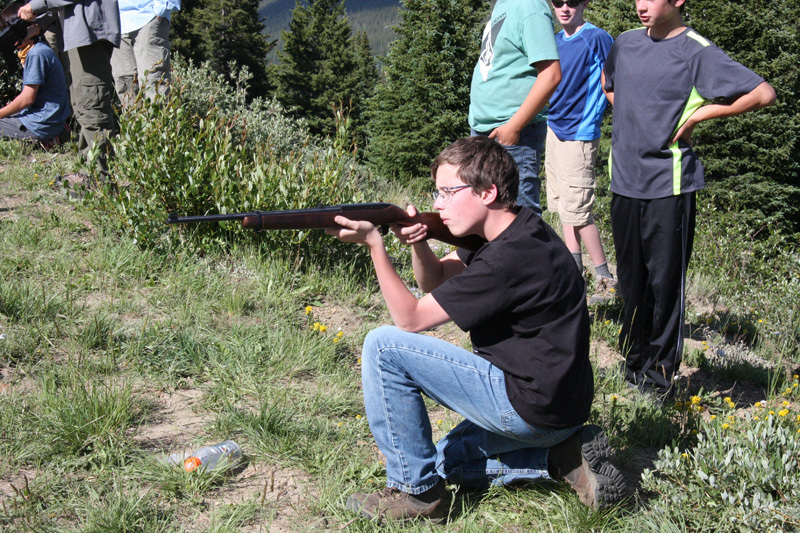 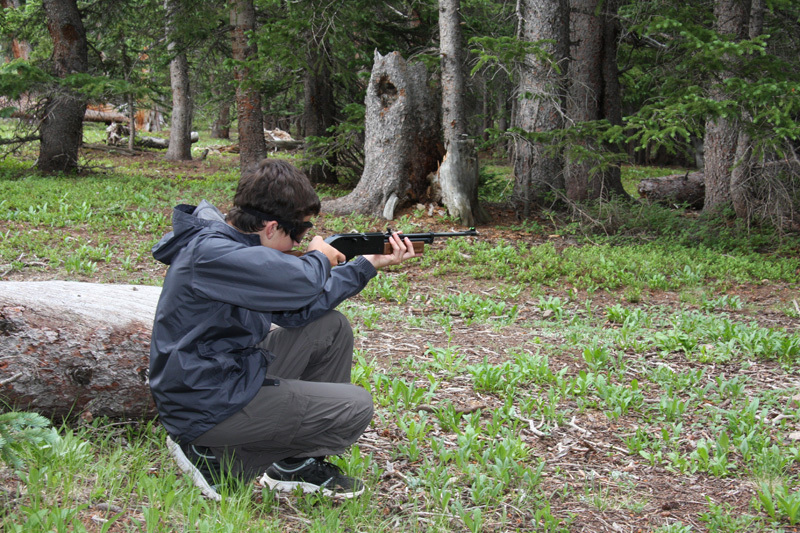 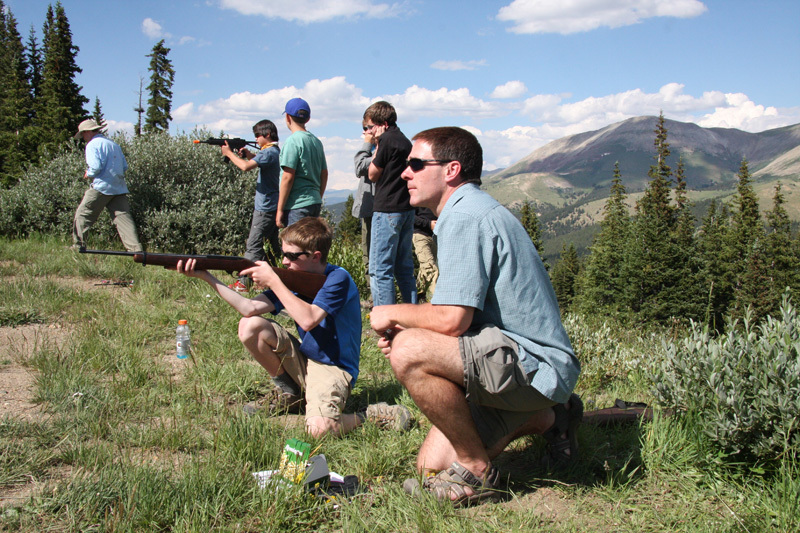 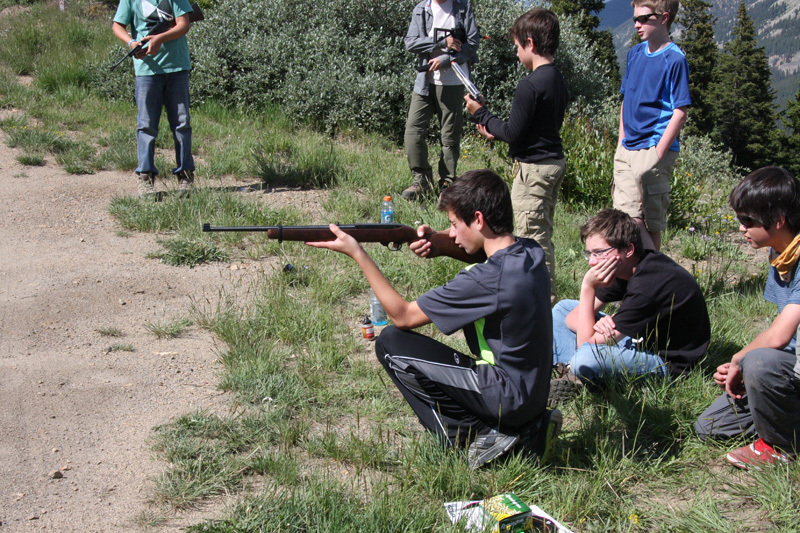 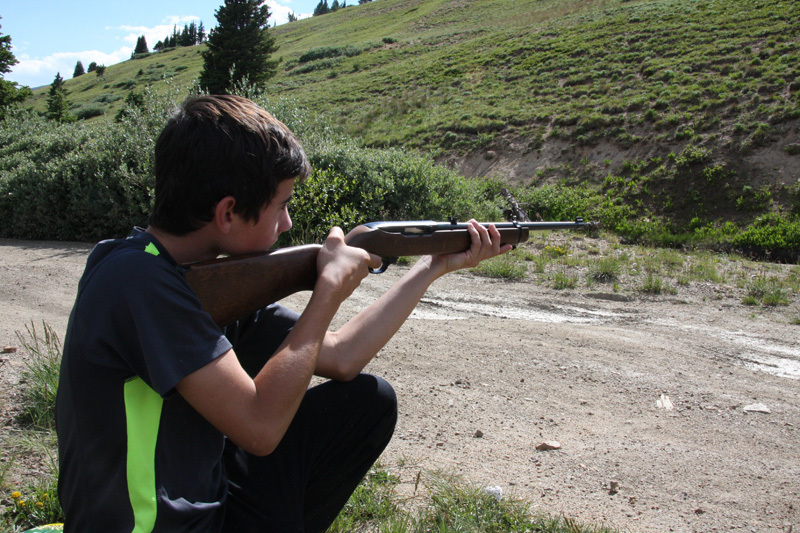 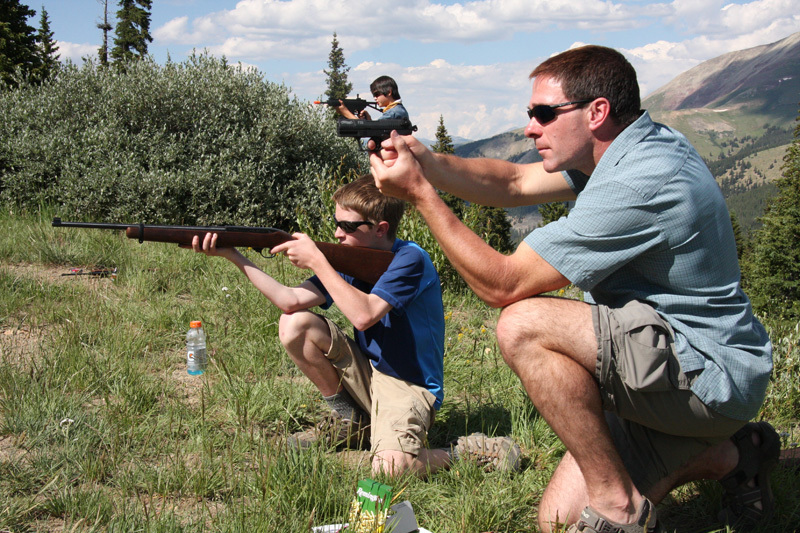 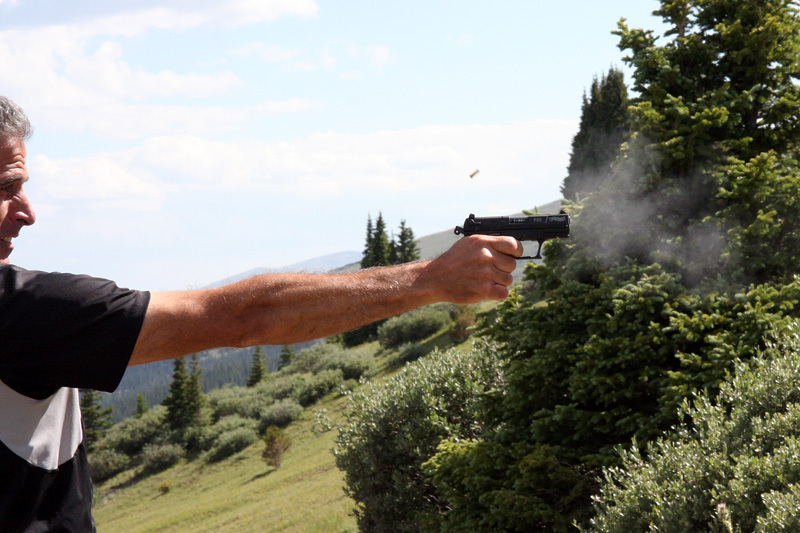 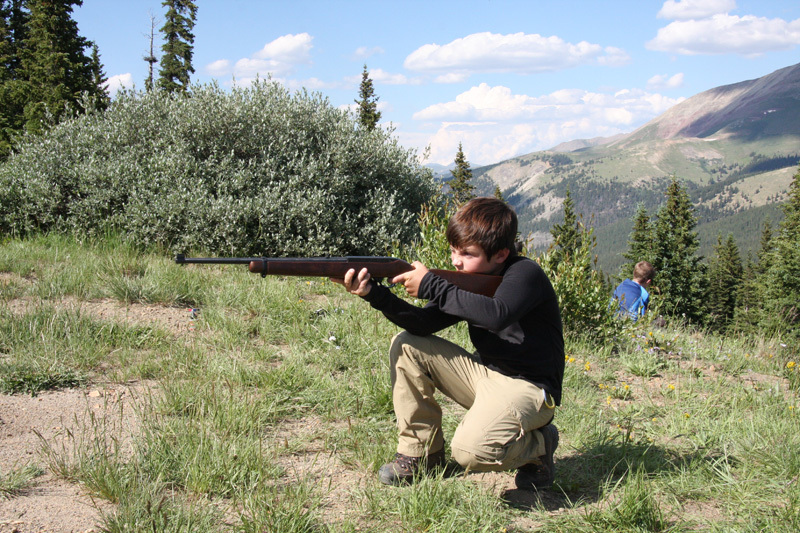 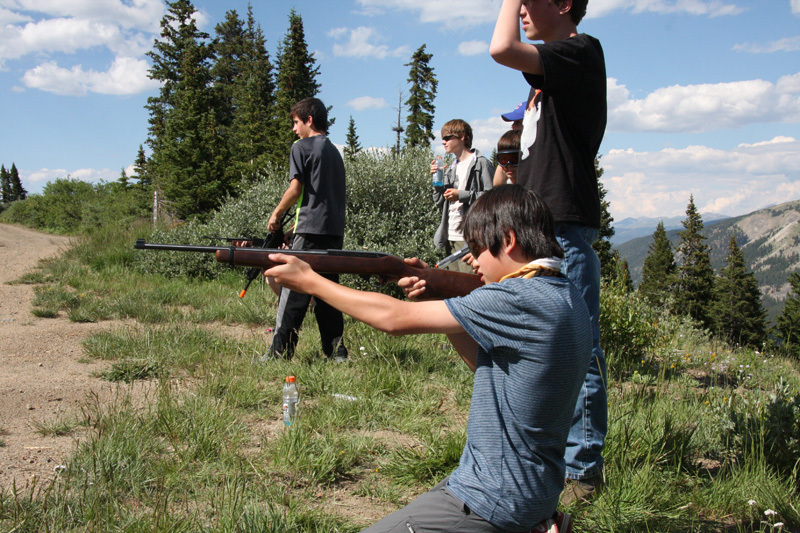 Day 2 - Back from the hike, the kids enjoyed target practice with a .22 semi automatic rifle and a .22 semi automatic pistol. 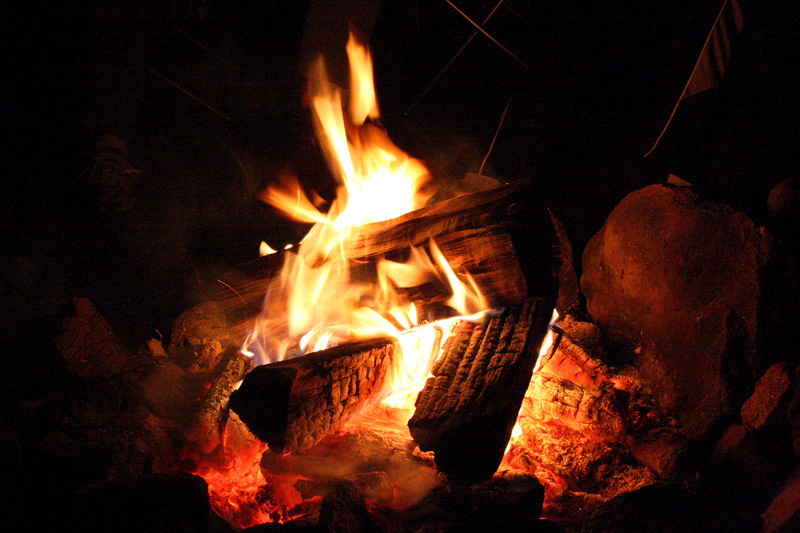 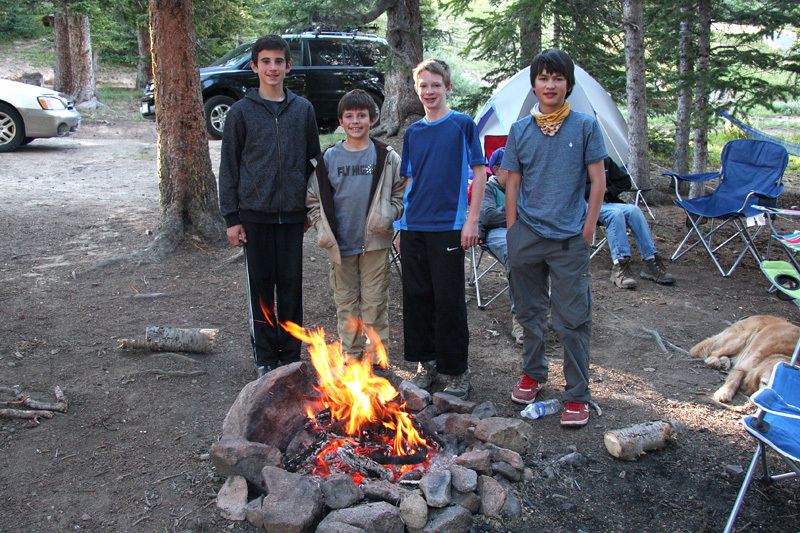 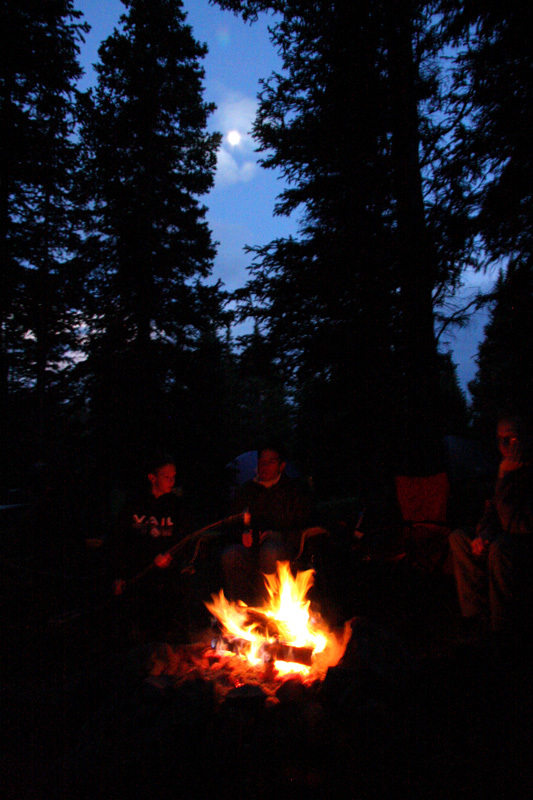 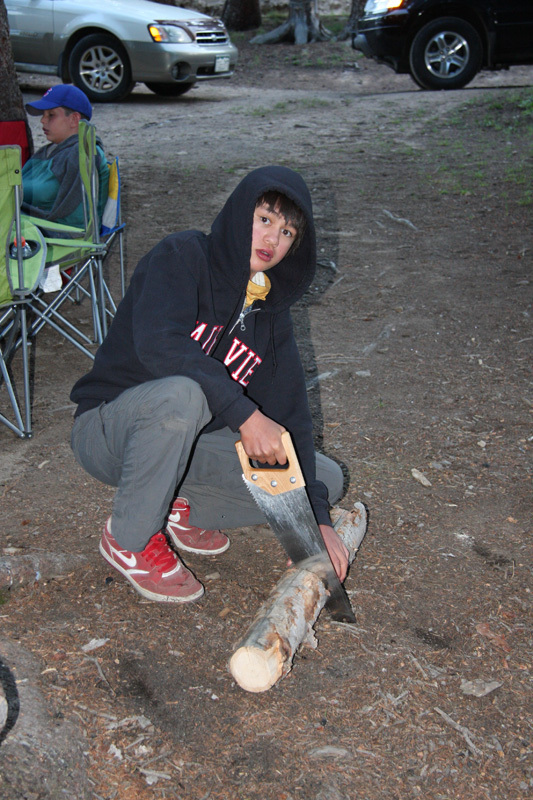 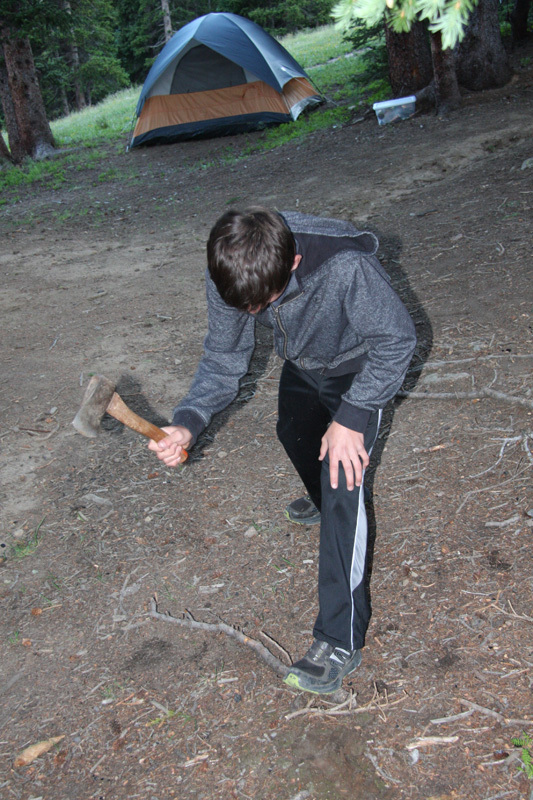 This was followed by faboulous dinner of Fajitas and another roaring camp fire. 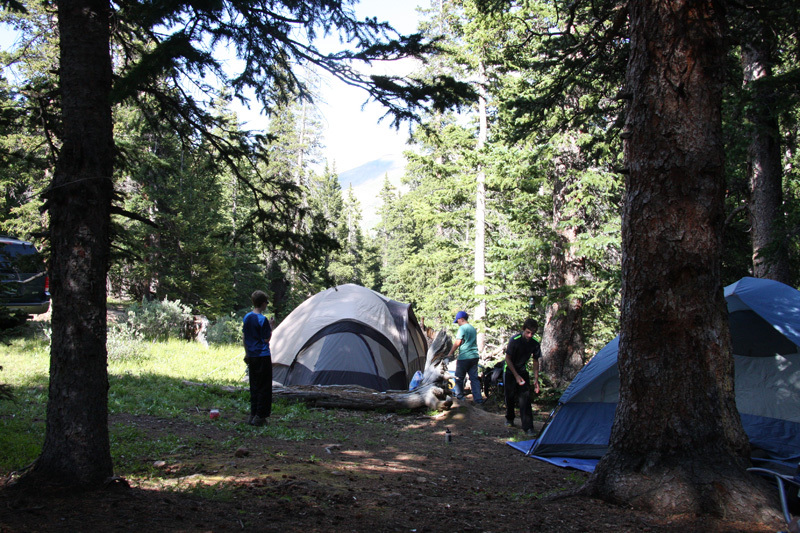 Day 3 - After a big breakfast bonanza, we broke camp and headed home. 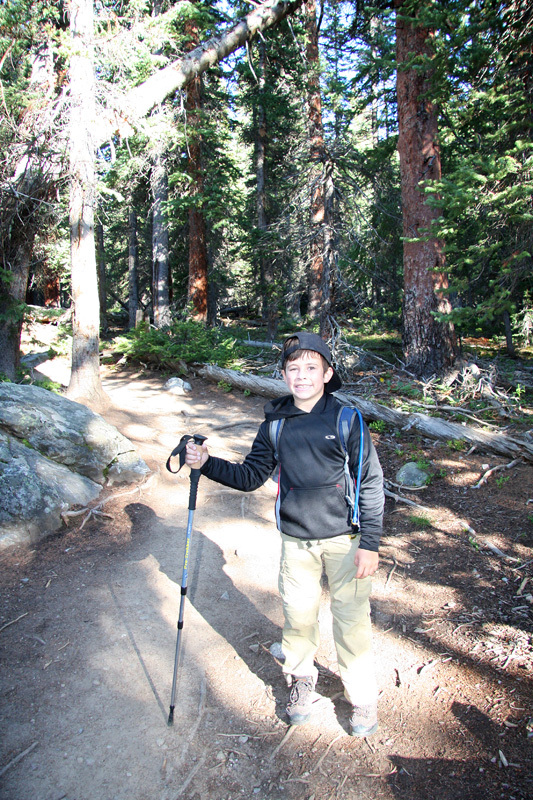 Another successful trip!